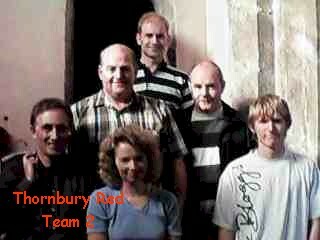 Pictures of some of the teams, not necessarily in the order they rang! 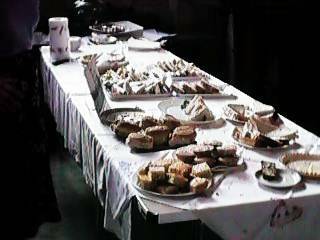 Ada’s band – 41 faults. 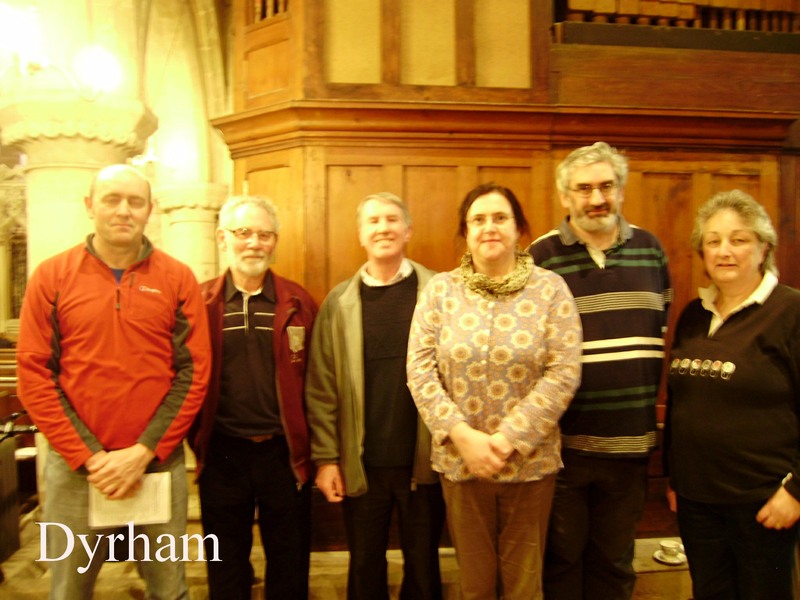 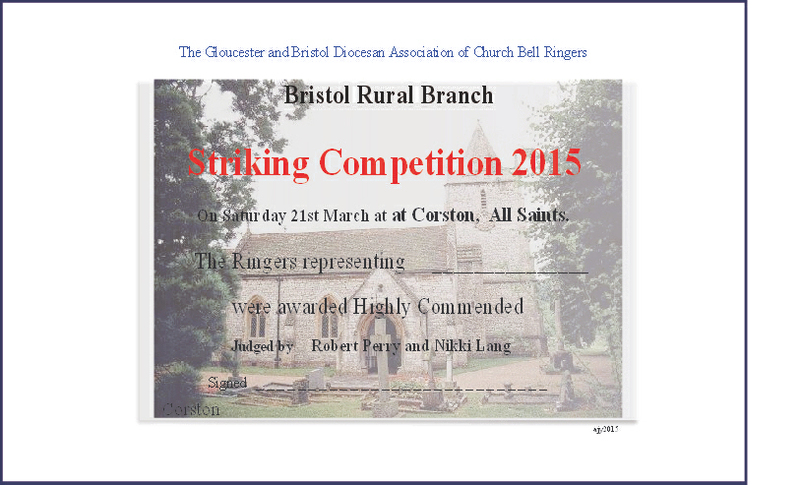 Congratulations to Dyrham winners of the Bristol Rural Striking Competition. 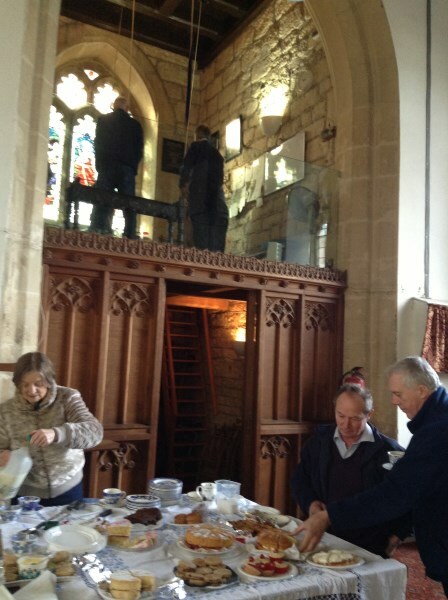 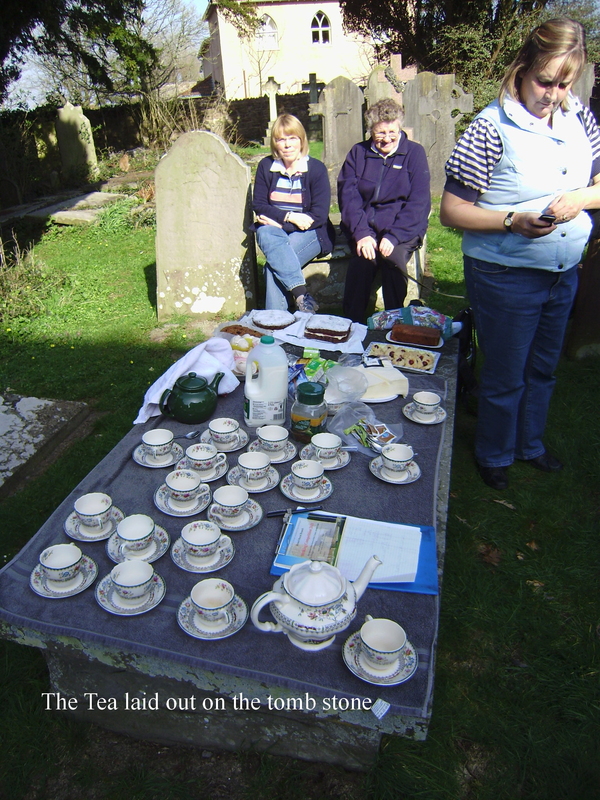 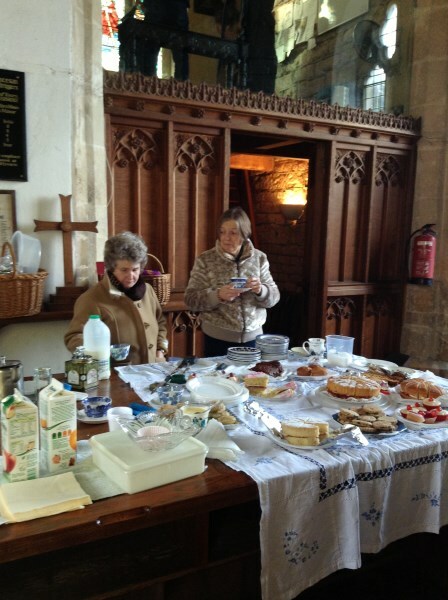 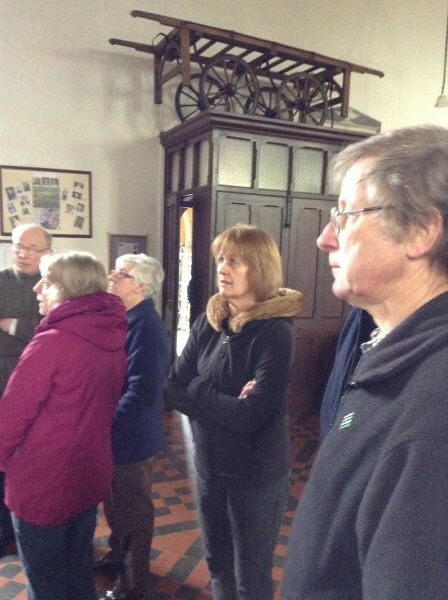 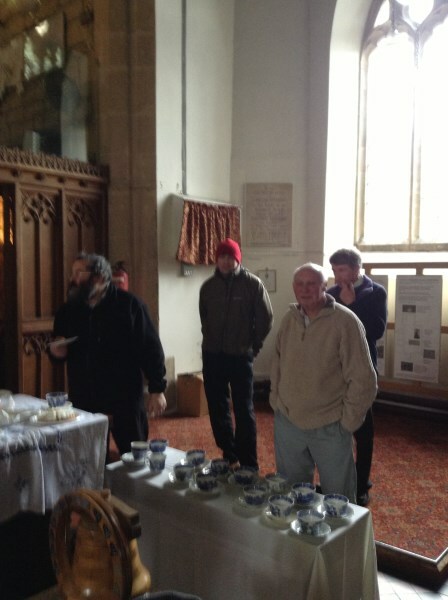 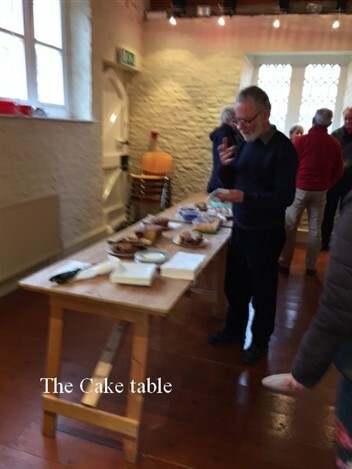 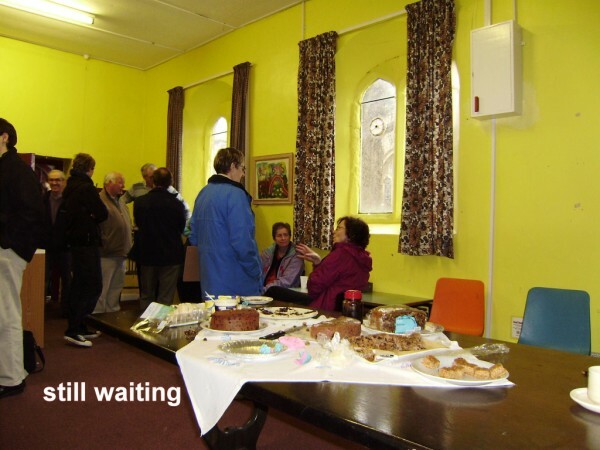 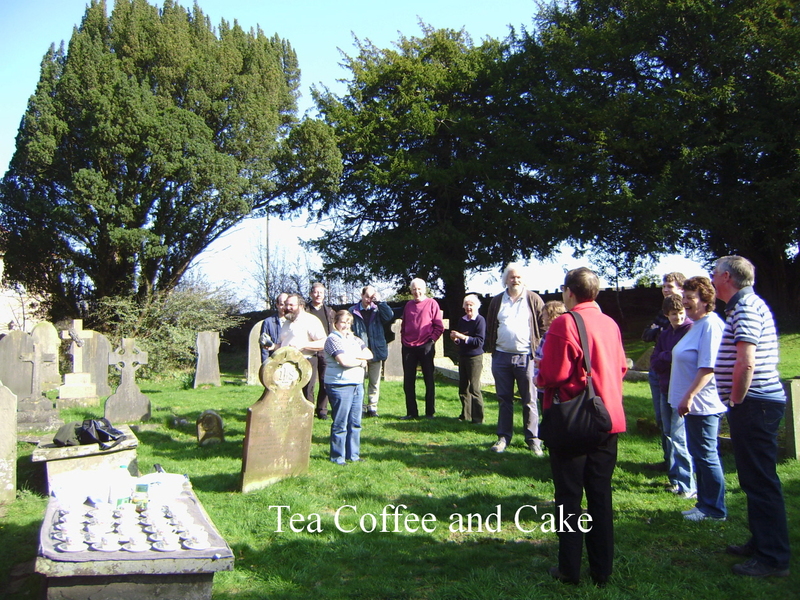 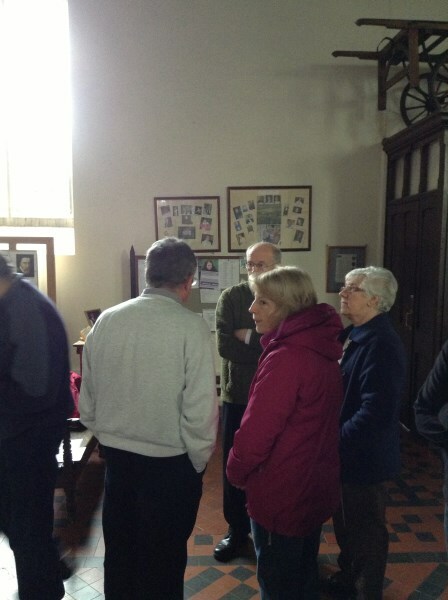 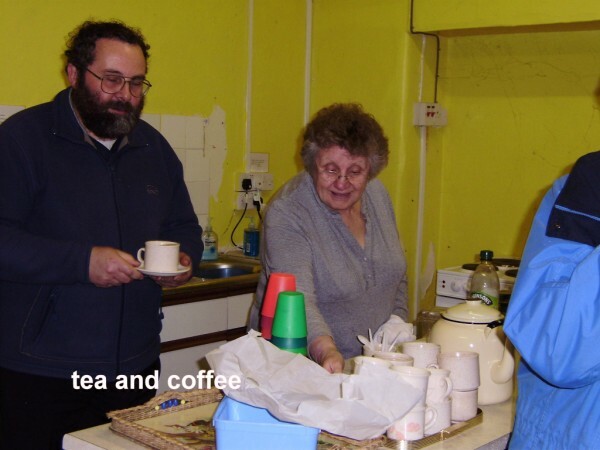 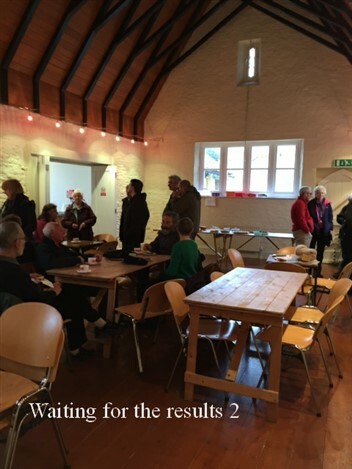 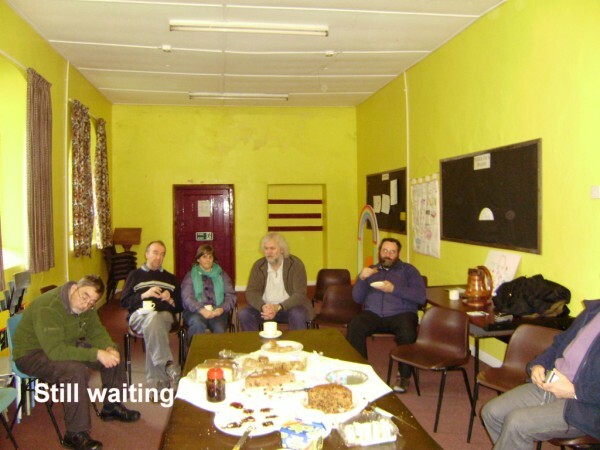 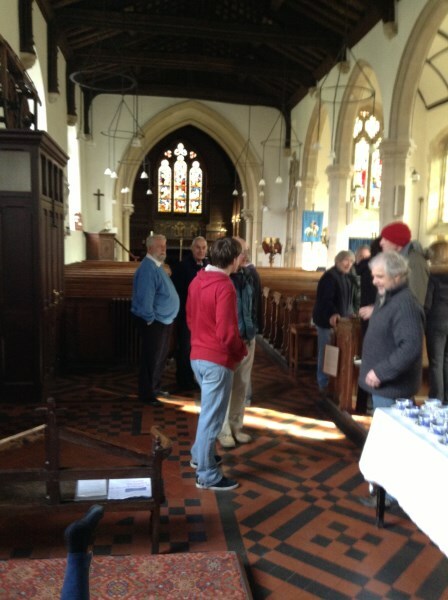 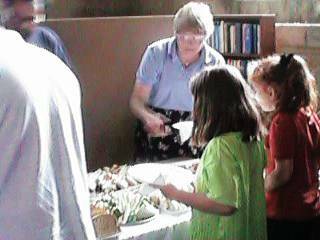 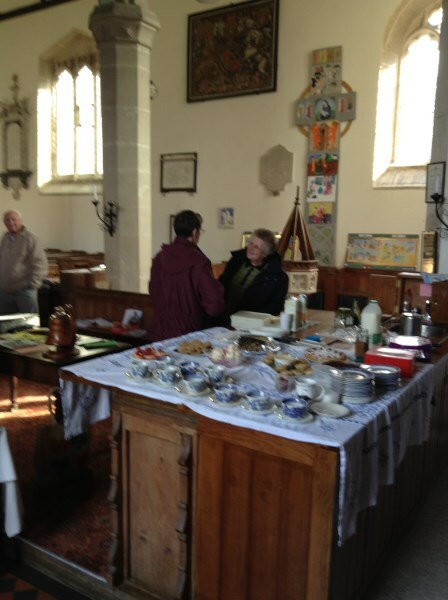 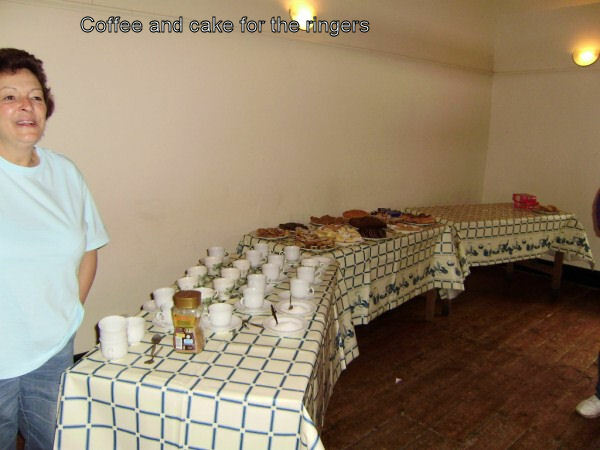 It was a cold day, luckily we booked the Church hall where delicious cakes and hot drinks were served. 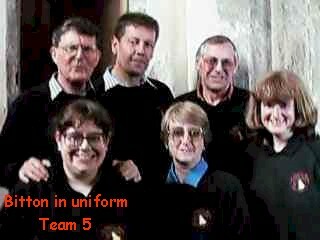 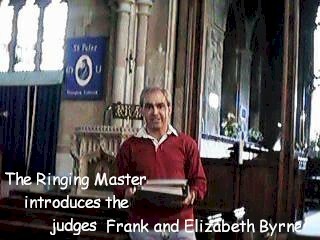 It was disappointing that more teams didn’t enter or more up & coming ringers didn’t come along for the social and experience. 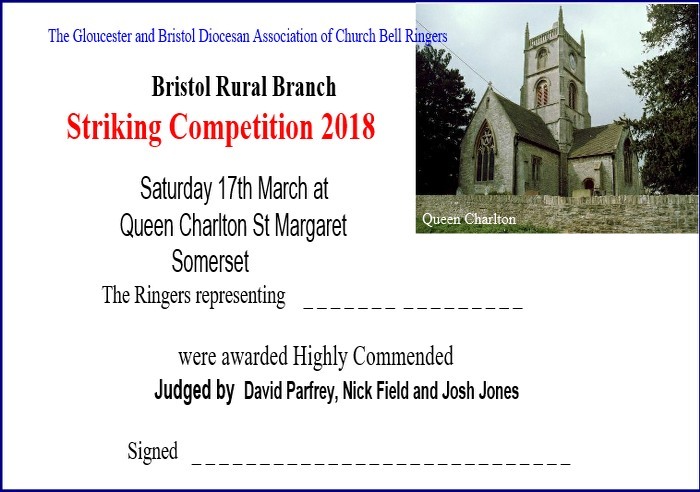 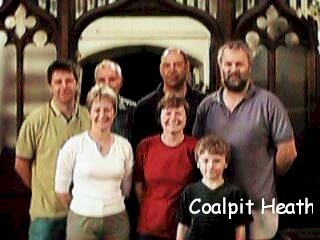 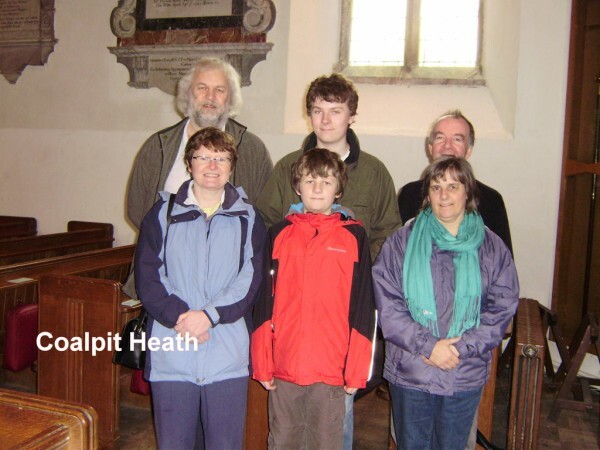 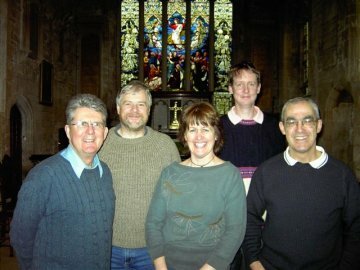 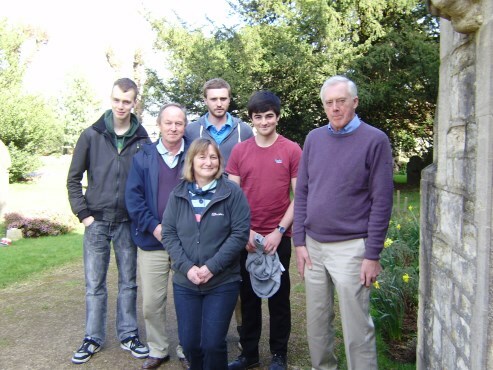 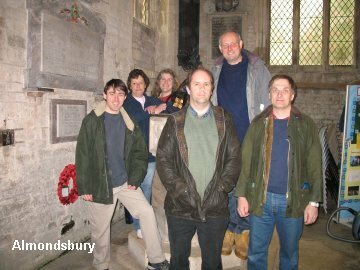 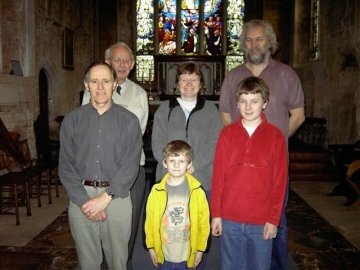 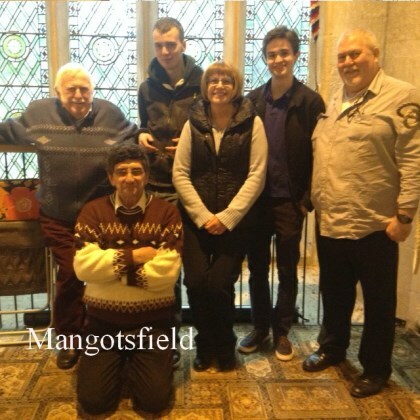 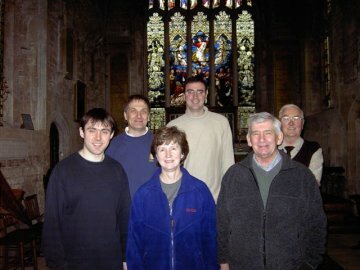 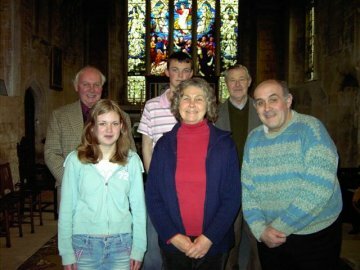 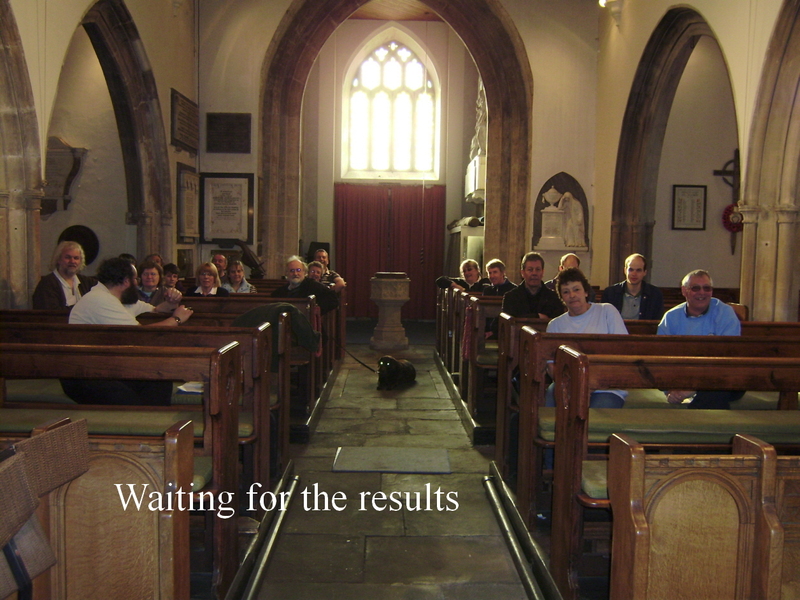 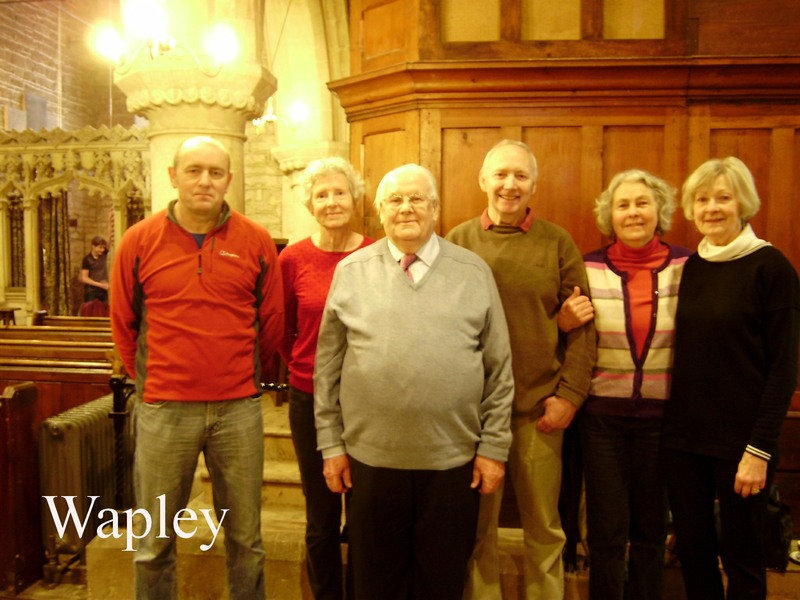 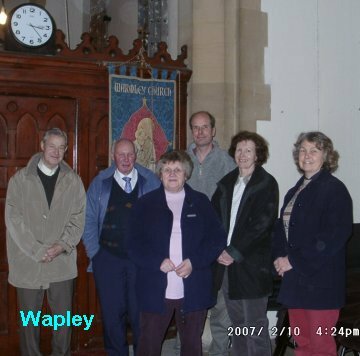 The judges David Parfrey, Corston, Nick Field and Josh Jones, Bath Abbey found that the ringing was very good on what they considered a deceptive 6. 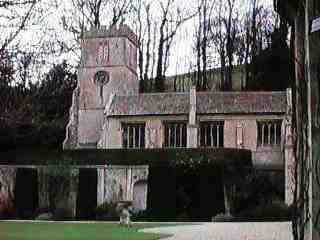 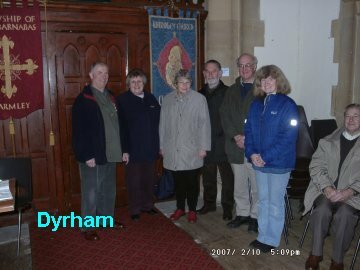 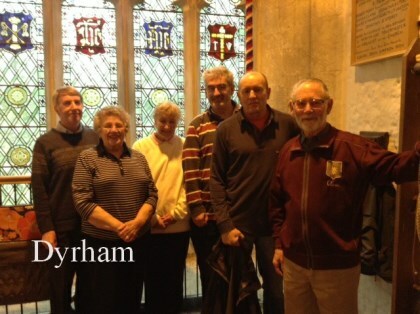 Dyrham set a fast pace which worked well for them and had a good treble. 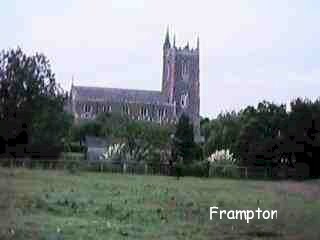 Frampton A swapped partway through on a fairly slow pace but Frampton B set a quicker pace but had slips and trips because of this. 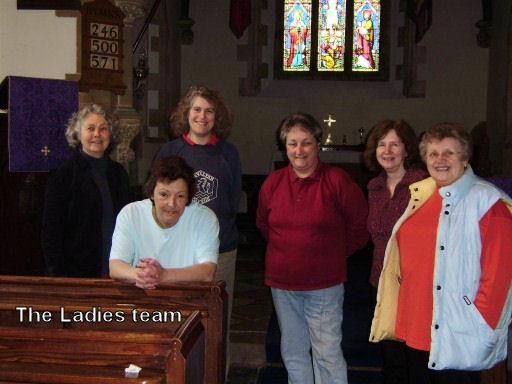 And finally ‘Girls just like to have fun’ they liked the fact that we enjoyed ringing and laughed all the way through which for me is what ringing is all about. 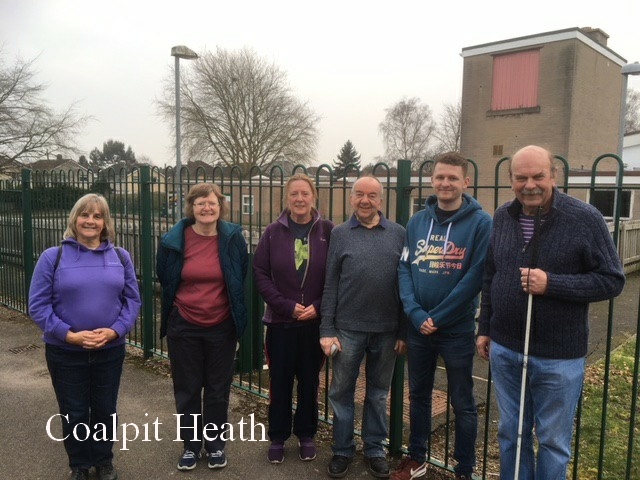 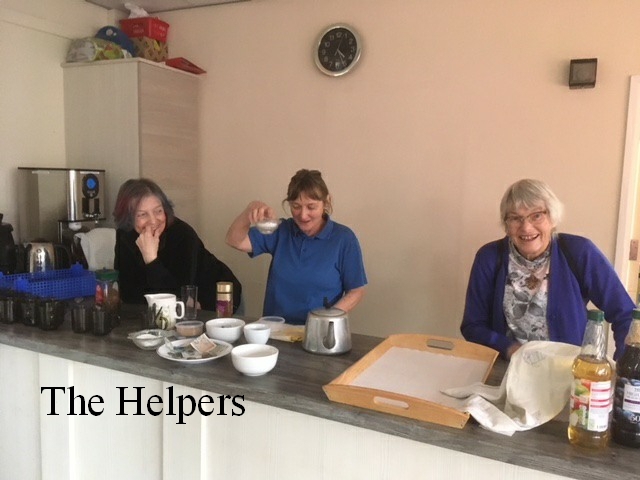 I would like to thank Matt for organising the competition, the Ladies who helped with the teas, Tony for standing in for Linda and everyone who supported the afternoon. 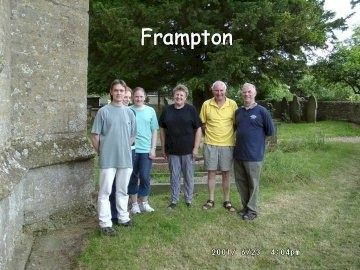 Note the teams are not in the order they rang, neither did I get pictures of the Frampton B and the Bitton Ladies teams!! 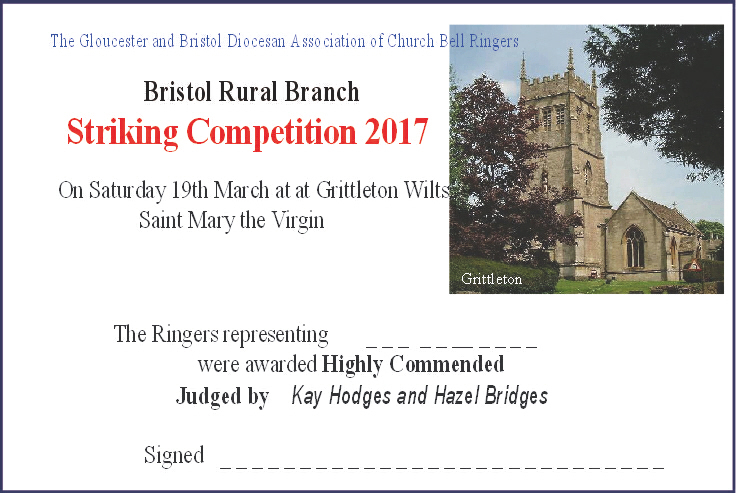 The Certificate awarded to all teams who entered except the winner where it says "First Place"
The 2017 Striking Competition was held at Grittleton out of branch in Chippemham branch on the 18th of March 2017. 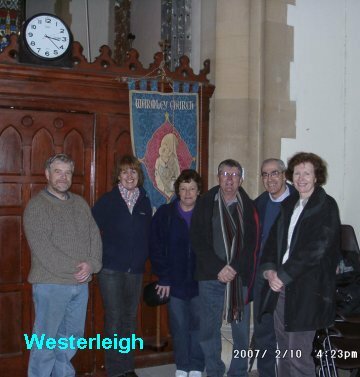 For an article see the April 2017 Newsletter. 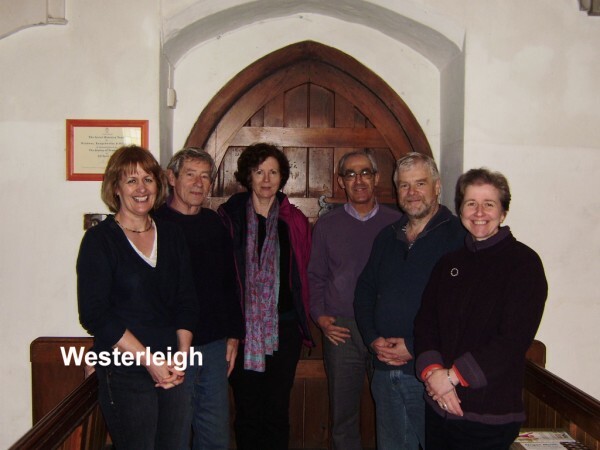 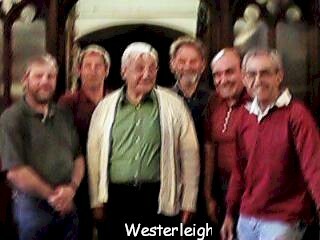 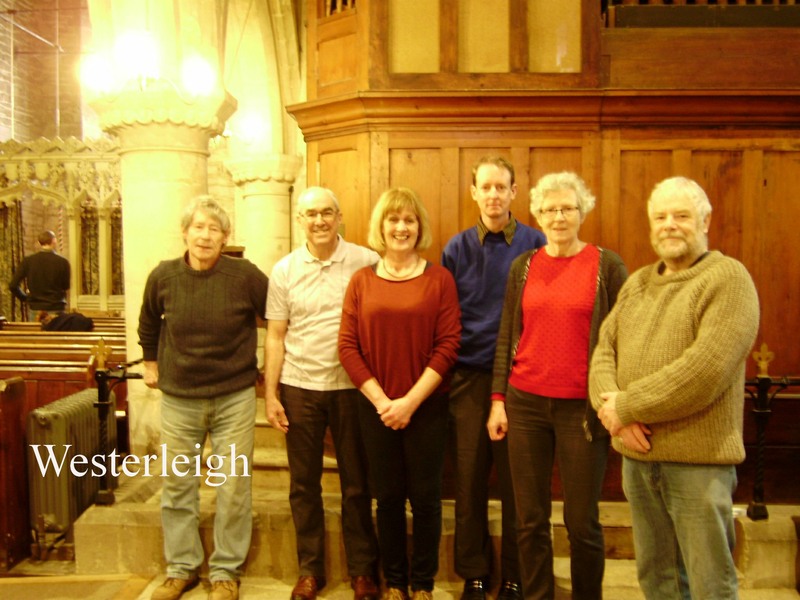 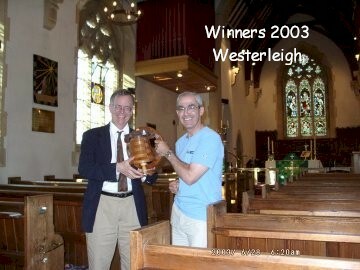 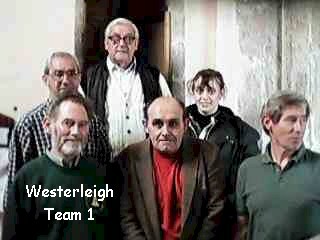 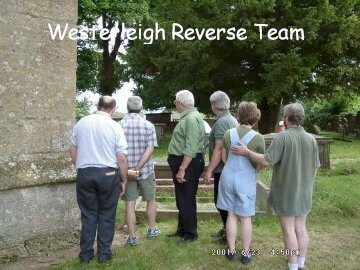 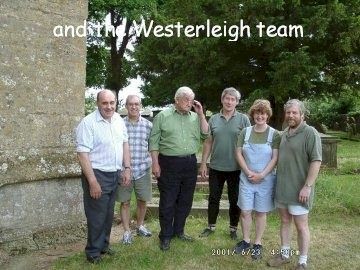 This year won by Westerleigh. 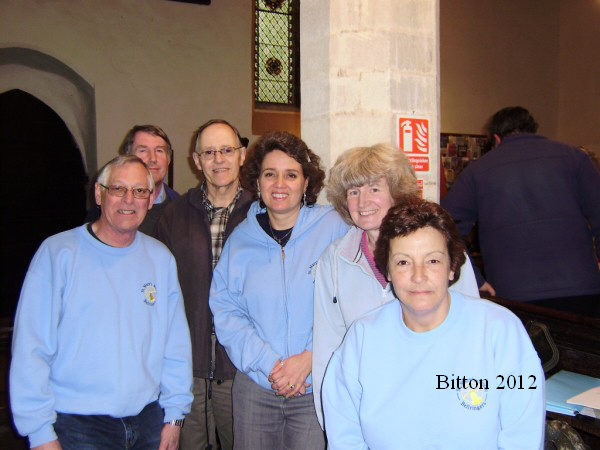 A couple of points I have interchanged Bitton A and B, One team did not arrive. 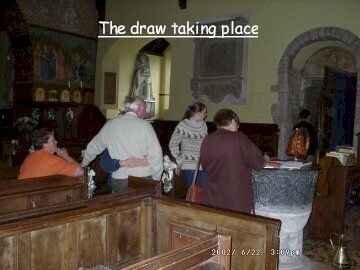 picture did not seem to get taken? 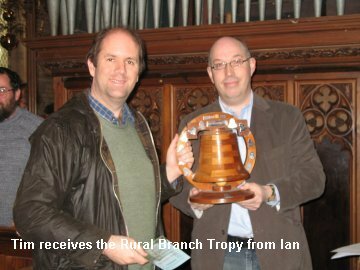 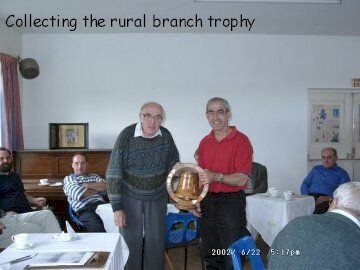 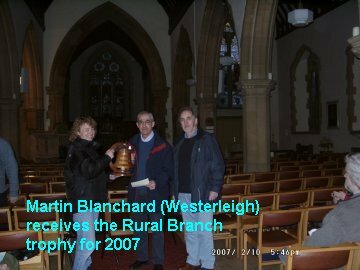 Alan Coombs accepts the Rural Branch Trophy for Mangotsfield from Rurh Beavin the judge for 2016.
a wedding scheduled for 14.00. 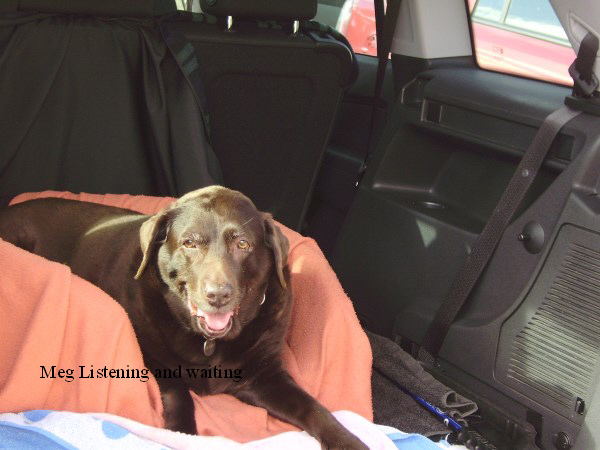 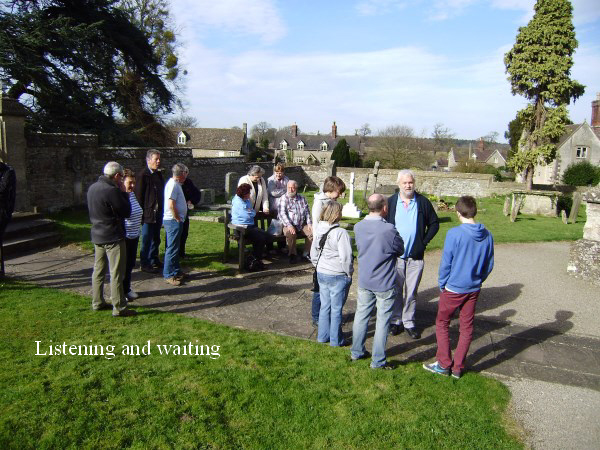 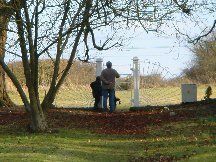 Article on the afternoon in the April Newsletter Click published on the 28th March. 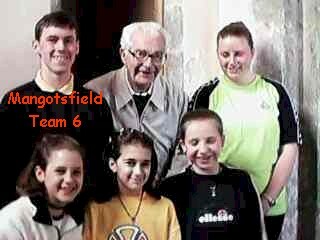 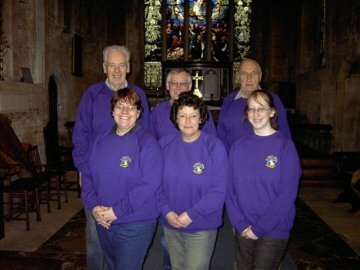 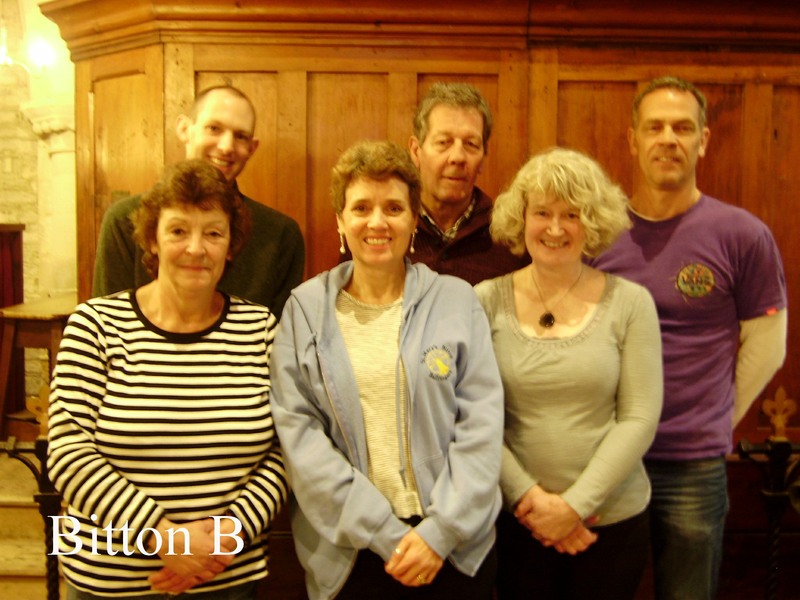 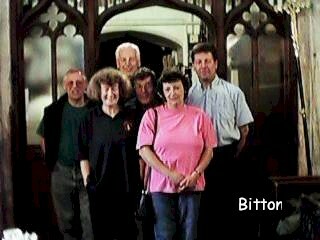 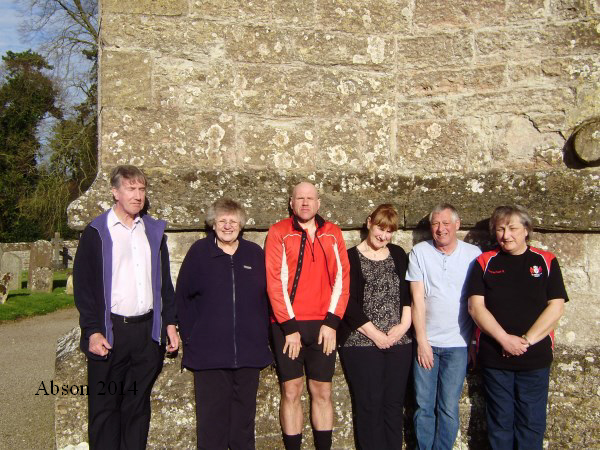 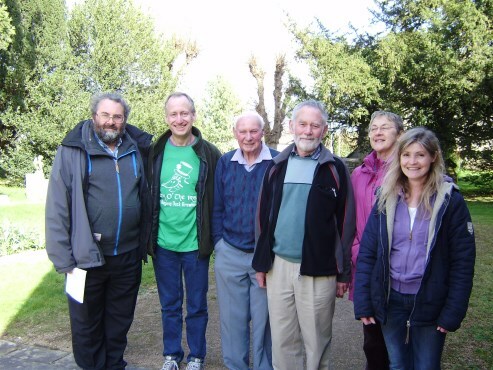 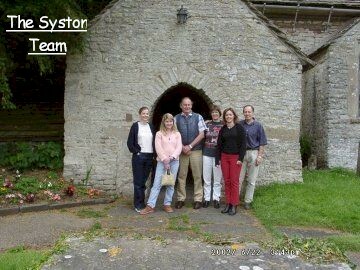 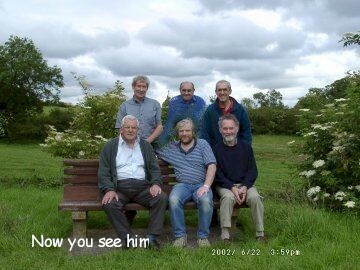 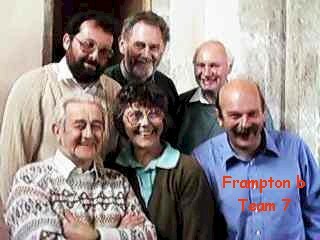 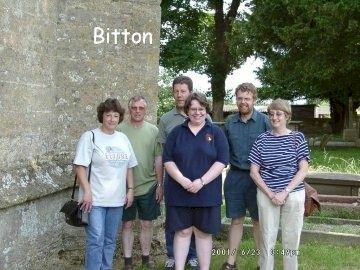 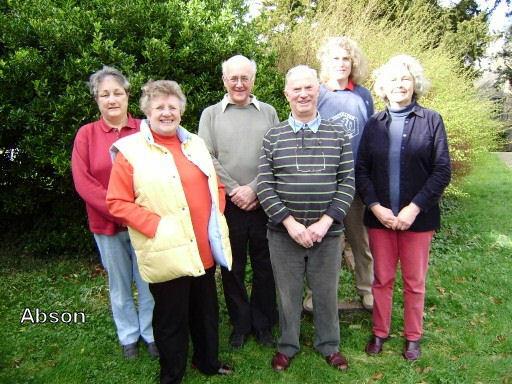 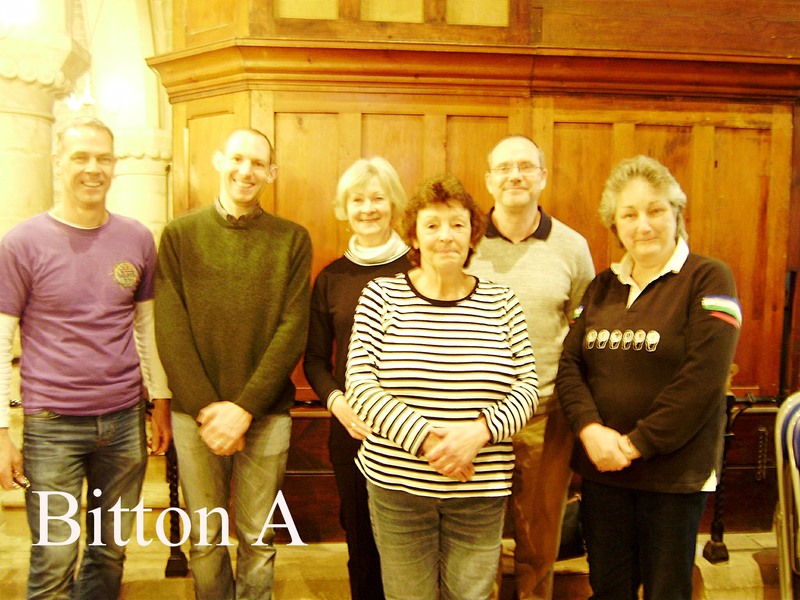 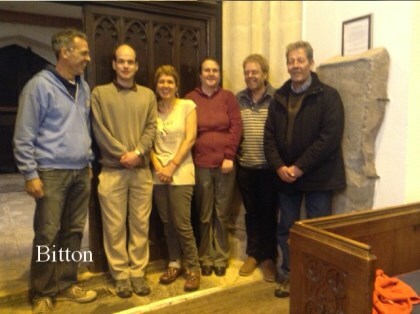 Finally the Bitton team whose photo was taken out of order, they rang 9th. 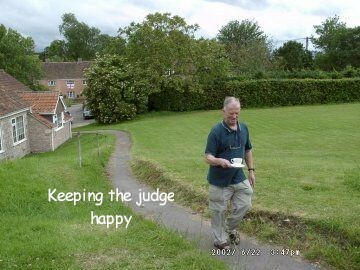 Delivering Coffee and cake to the judges. 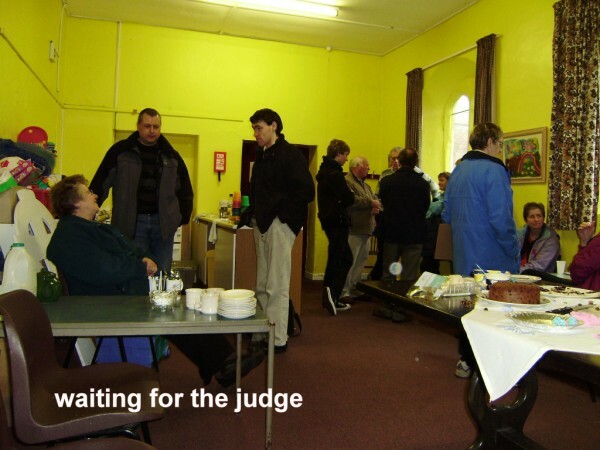 Waiting around 13 teams takes quite a long time? 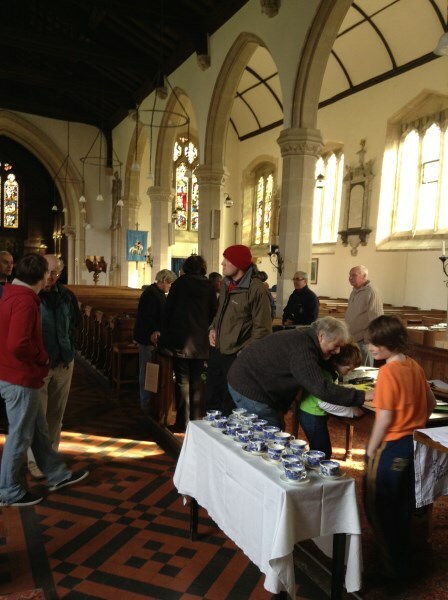 it was a well organised and successful afternoon. 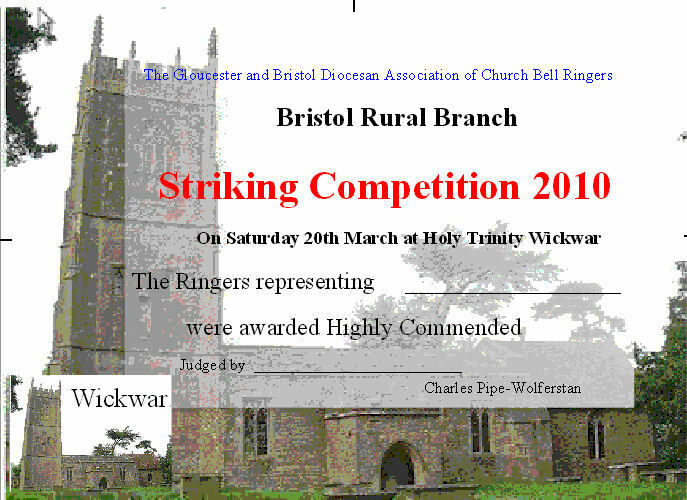 Certificate awarded to all towers who entered the Competition. 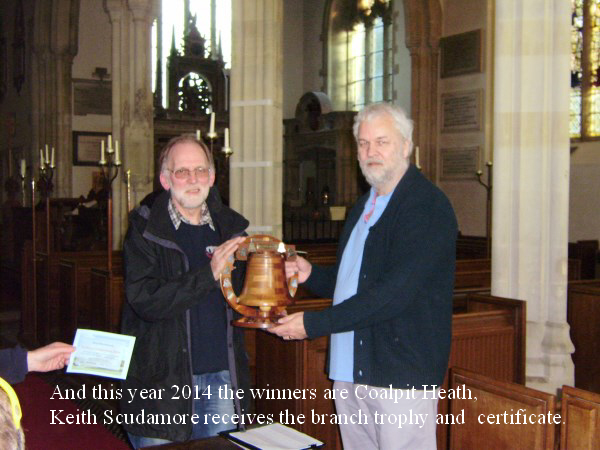 Once again a striking competition is over for 2014. 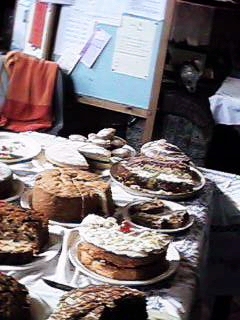 Well done to all who took part and came along and supported a great afternoon! 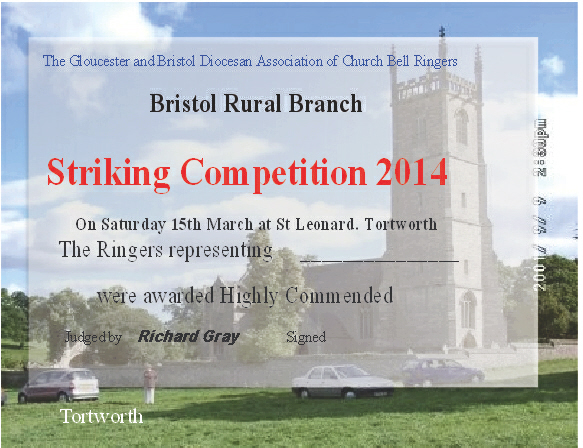 The certificate presented to all the teams who entered today. 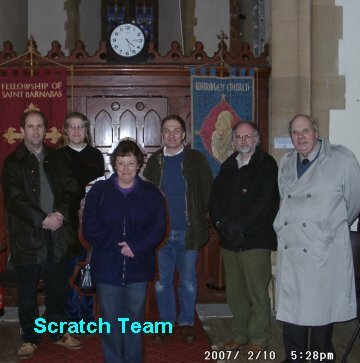 I do not seem for some reason to have a picture of the Scratch team! 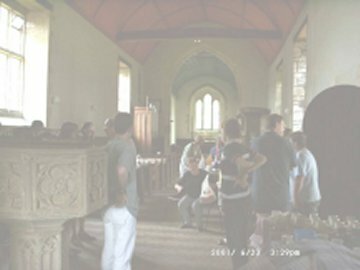 Below further pictures of the afternoon. 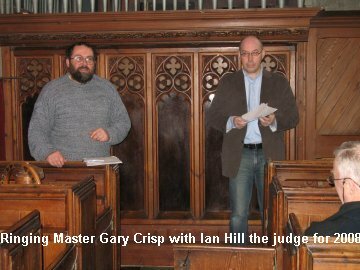 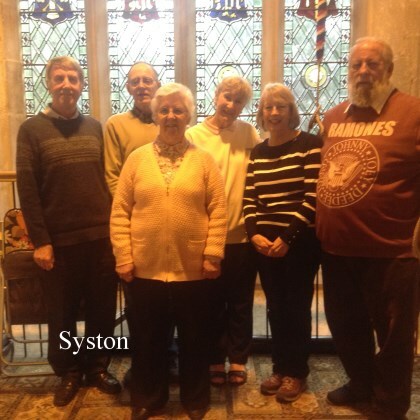 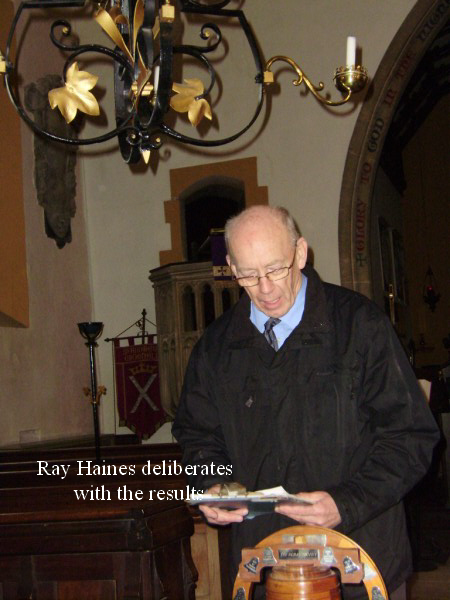 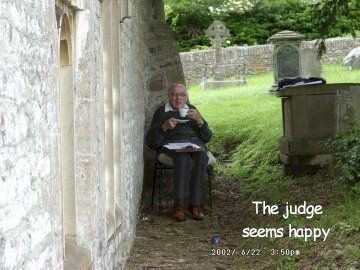 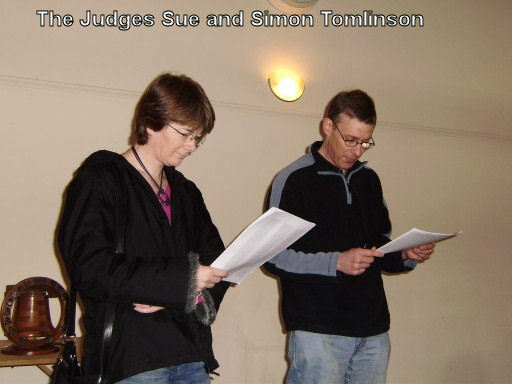 Many Thanks to Ray Haines from Midsomer Norton and his wife for being our judges this year. 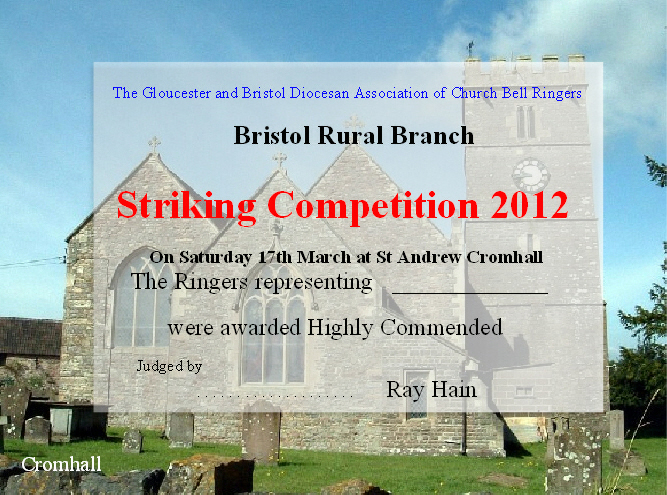 The 2012 Certificate presented to all the teams who entered. 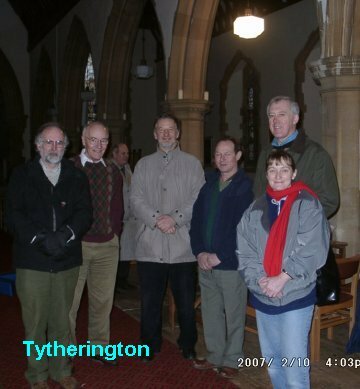 Should have been a picture here of Tytherington but due to the clapper falling out of the three and the subsequent repair we ran out of time. 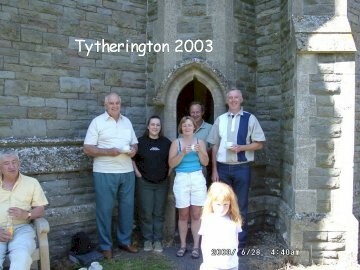 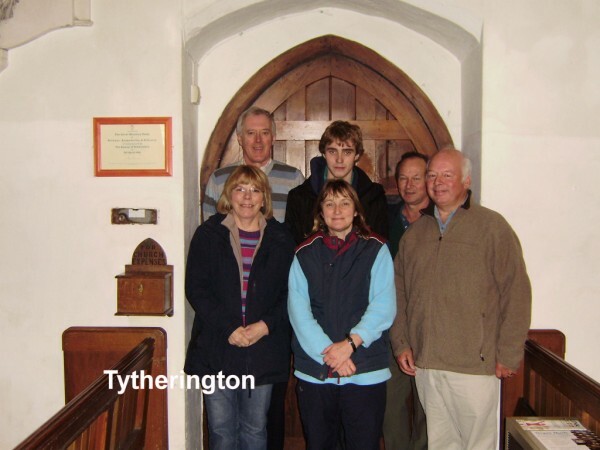 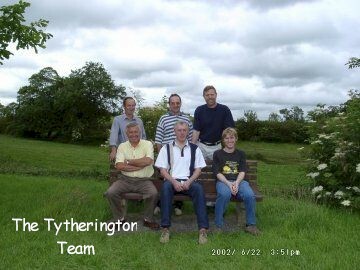 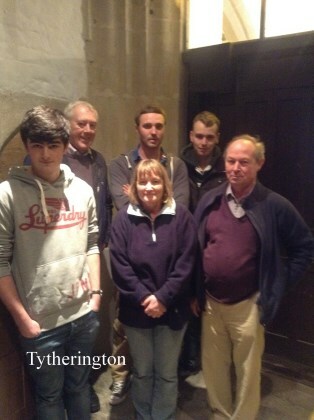 The Tytherington team had to leave for farming duties. 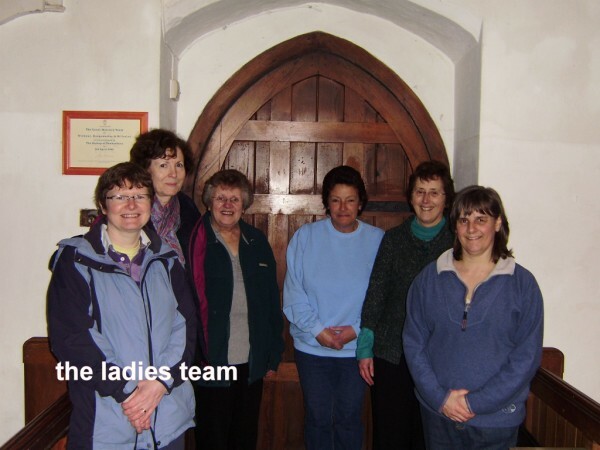 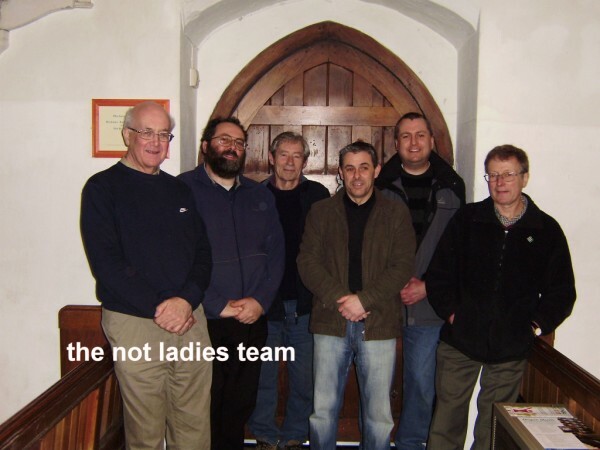 Also a picture of the ladies team which I have mislaid . 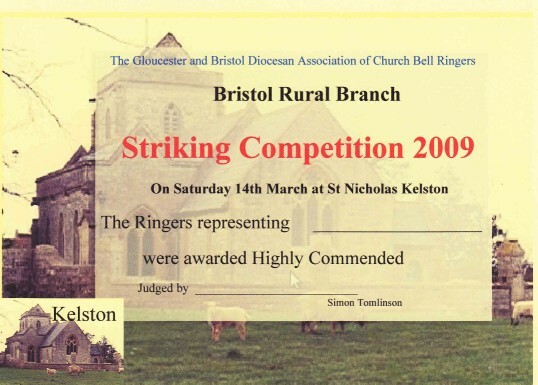 Certificate awarded to the teams who entered. 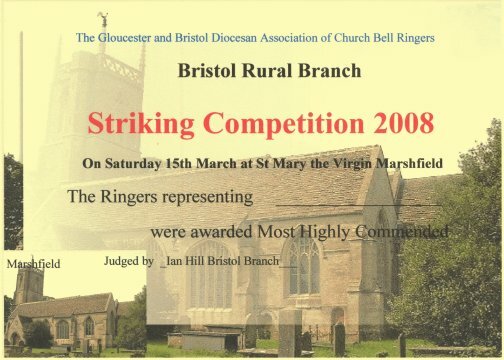 For an article on the striking competition go to the April 2010 Newsletter. 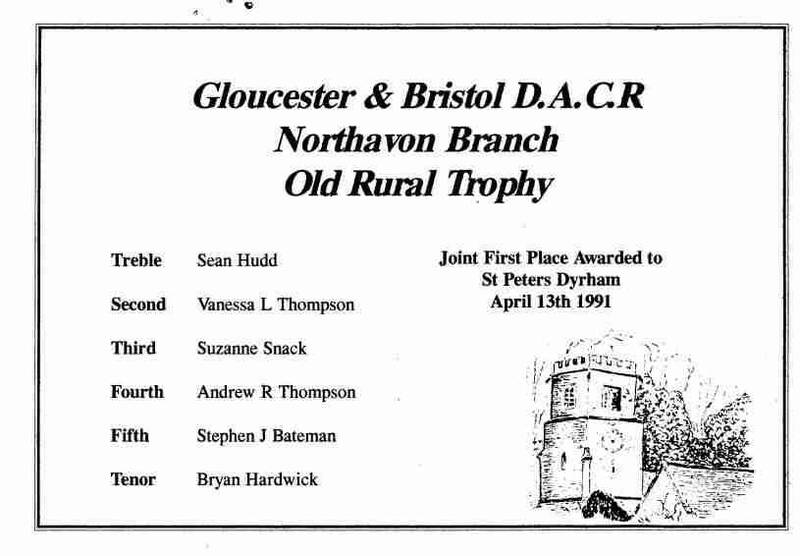 The certificate awarded to all the teams who entered of which there were seven. 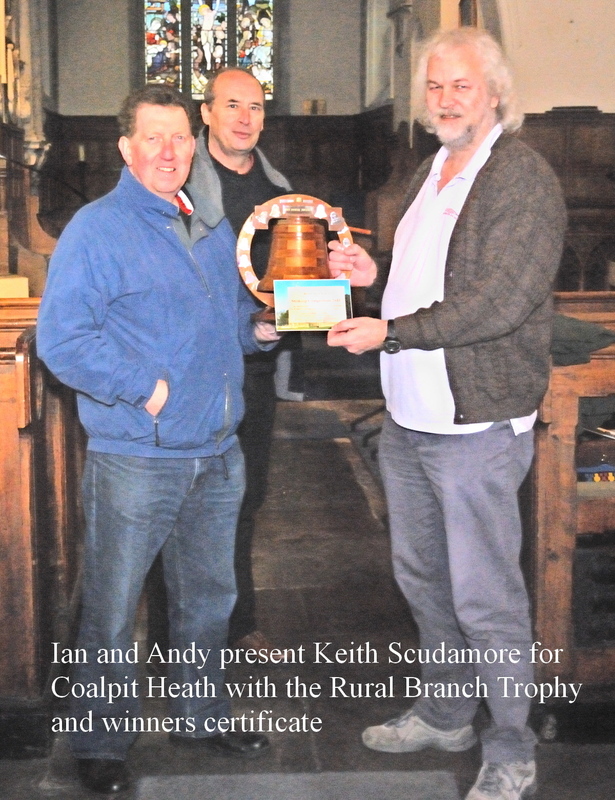 Competition Certificate presented to all teams who entered. 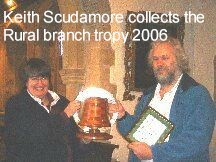 The certificate awarded to all teams who entered in 2008. 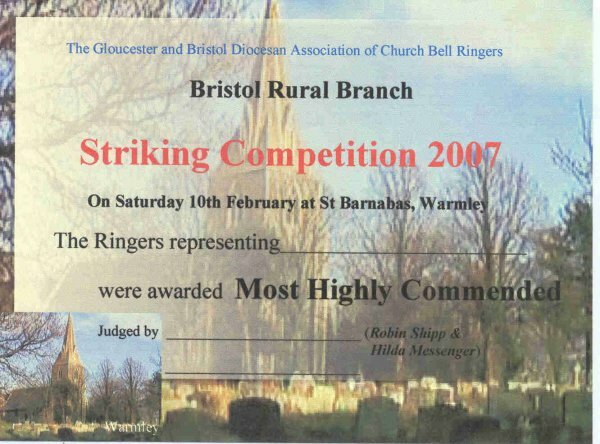 The Certificate awarded to all 2007 participating towers. 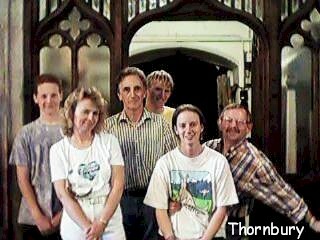 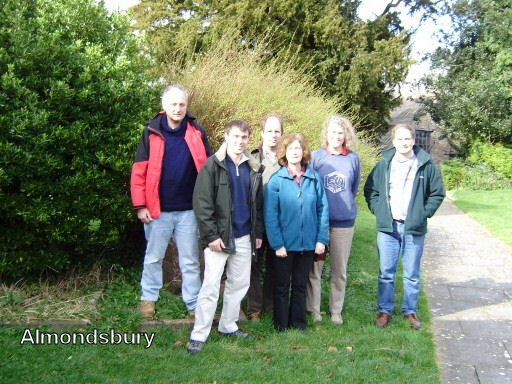 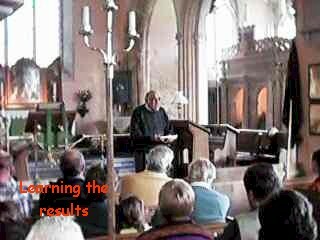 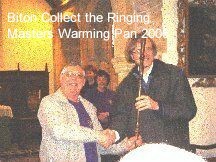 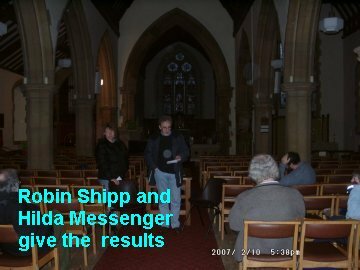 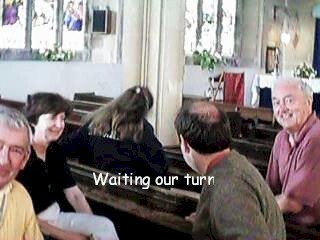 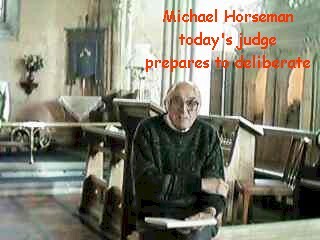 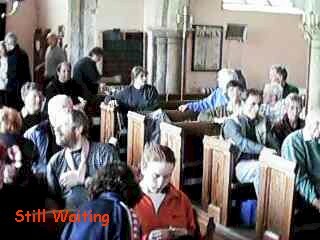 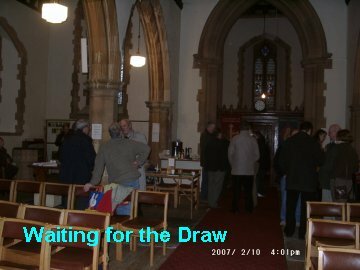 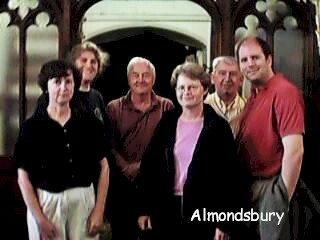 2004 No Competition Due to the change of date by the G & B to the AGM date normally in April. 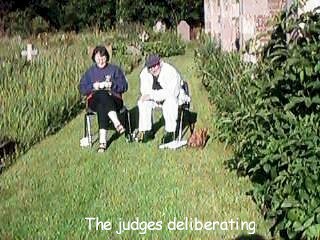 Well once again the day dawned fair and stayed with us all day for a lovely summer afternoon at Abson for this years striking competition. 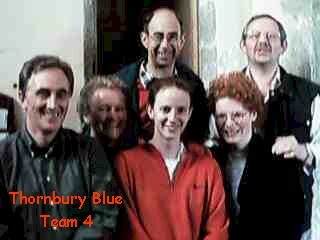 This year there were five towers entered, two down on last year, and seven teams Thornbury entered two Black and Blue plus a scratch team.The competition commenced at 16.30 with Bitton Frampton and Coalpit Heath in the first draw followed by Westerleigh, Thornbury Blue and Thornbury black in the second draw at 17.30, followed by the scratch team Whilst this ringing was continuing the non ringers and visitors were enjoying the sunshine the friendly conversation with people they rarely meet except at a Branch event, and of course whilst this was happening the tea was being made by the pot full along with the superb spread laid out by the Abson Ladies which had been provided by all the towers and members who attended who came along. 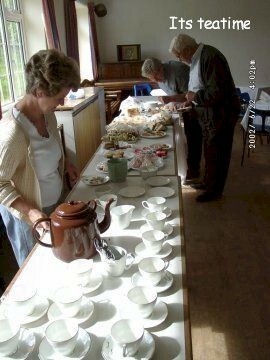 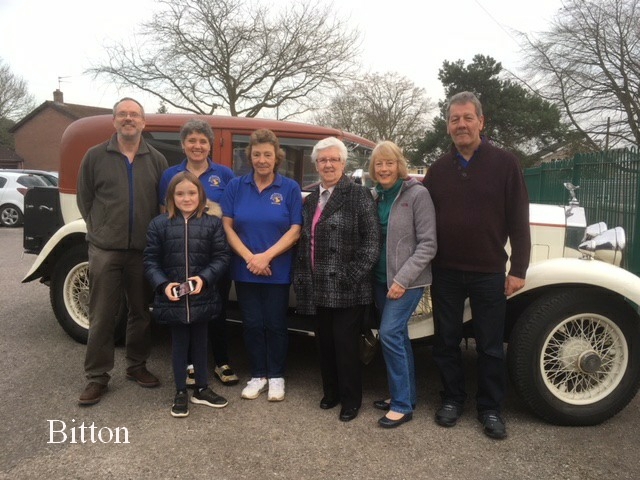 Once again think it can be said that those who did not put in a team or did not come along for the ringing the tea, meeting friends or any other reason missed a superb afternoon. 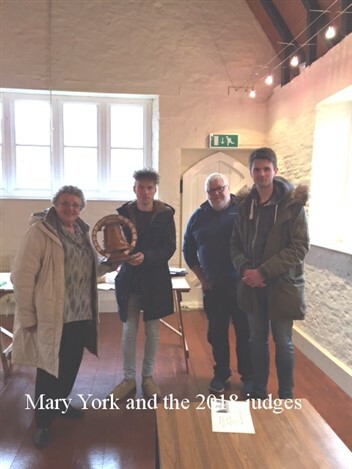 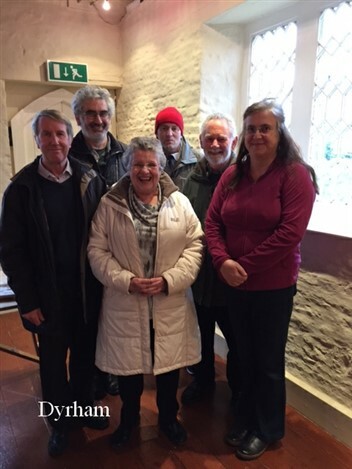 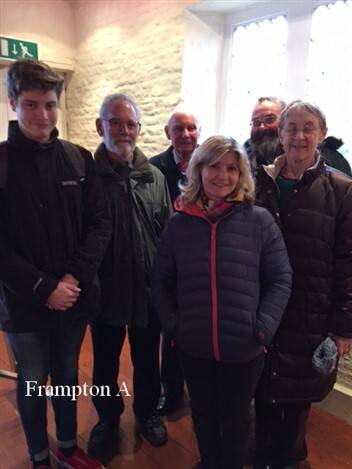 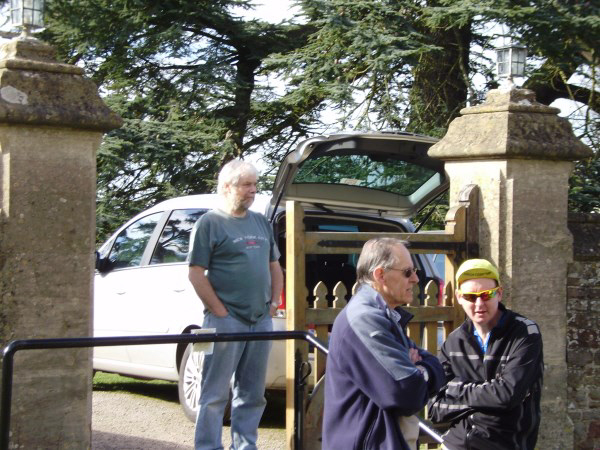 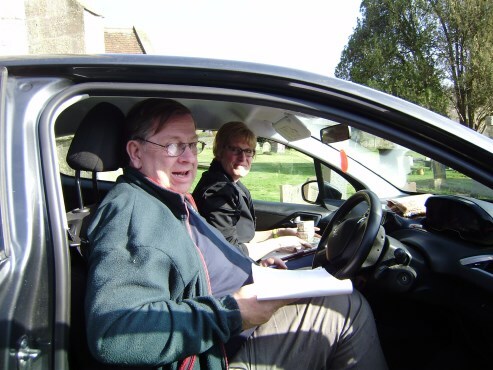 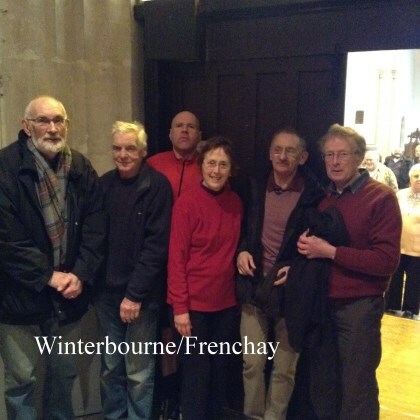 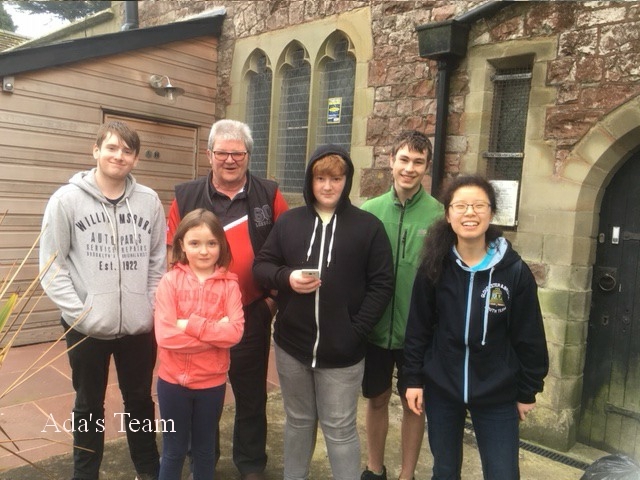 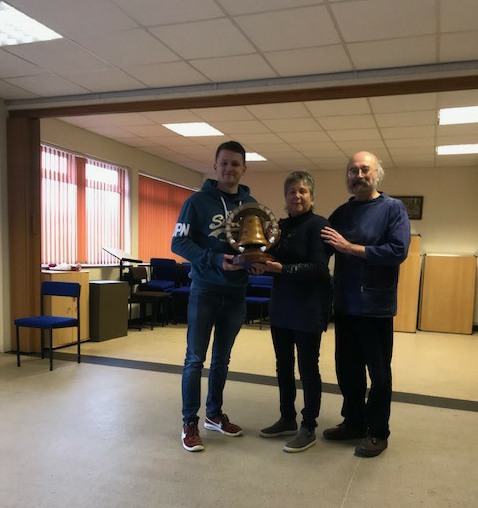 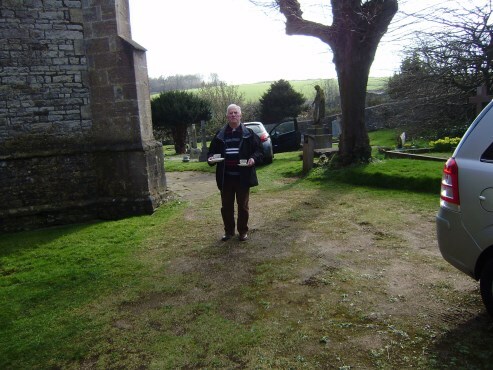 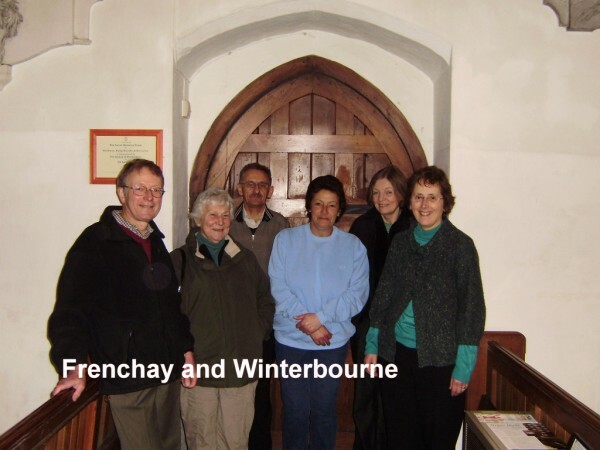 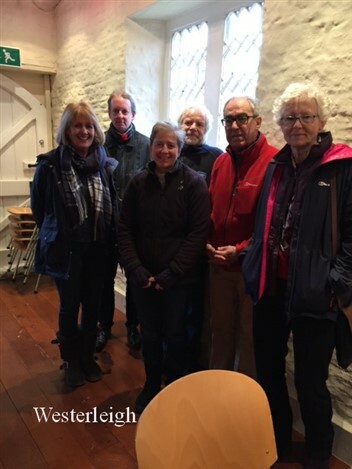 Our Judge for the afternoon was Phil Weekes from over the bridge who gave a summary of the ringing from each tower and pronounced that Thornbury Black were the winners closely followed by Thornbury Blue. 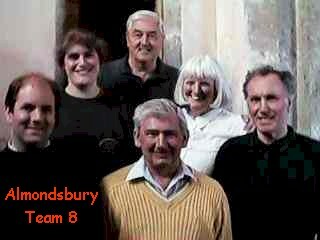 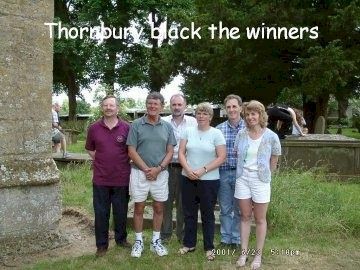 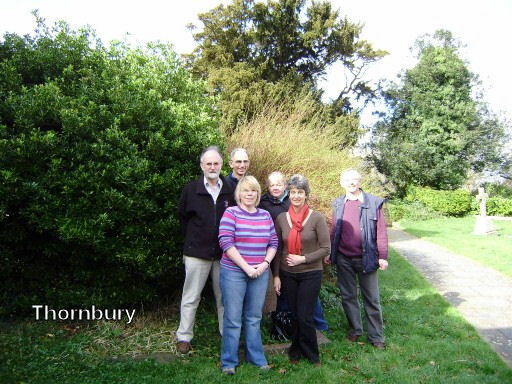 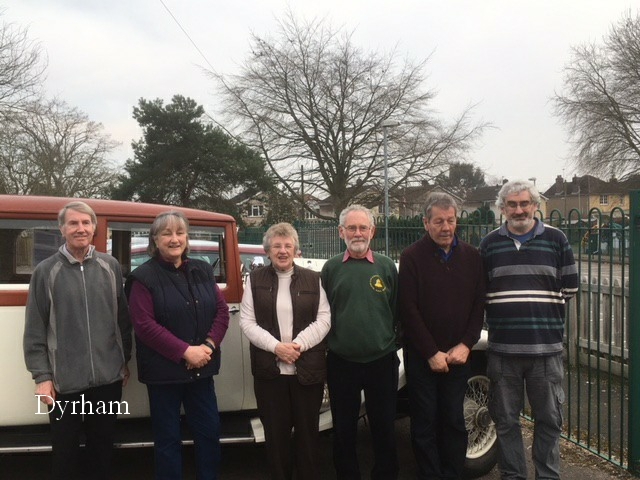 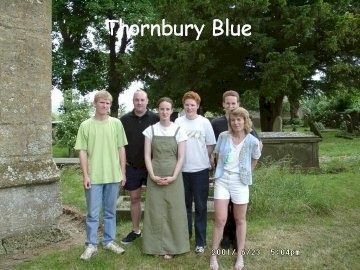 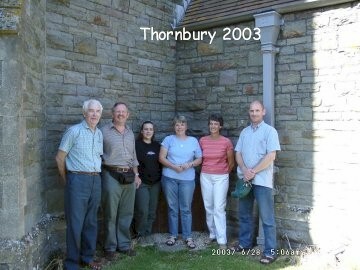 Our congratulations go to Both Thornbury teams especially to Thornbury Black who will go forward to the Association Striking competition on the day of Association AGM in 2002 in Bristol. 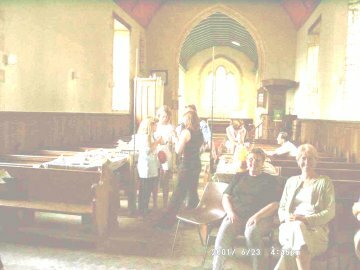 Following are pictures I took on the day, but unfortunately I had problems with the camera flash and have had to lighten some of them digitally which you will see is not ideal. 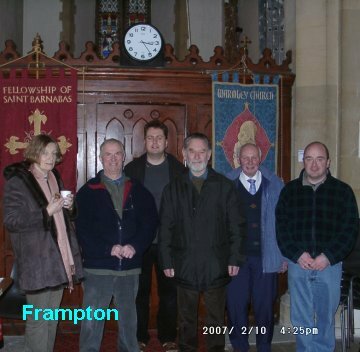 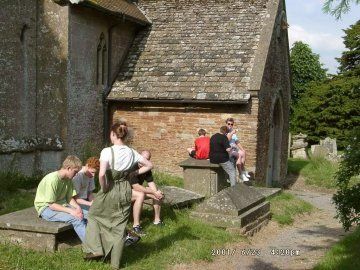 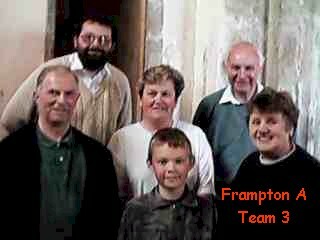 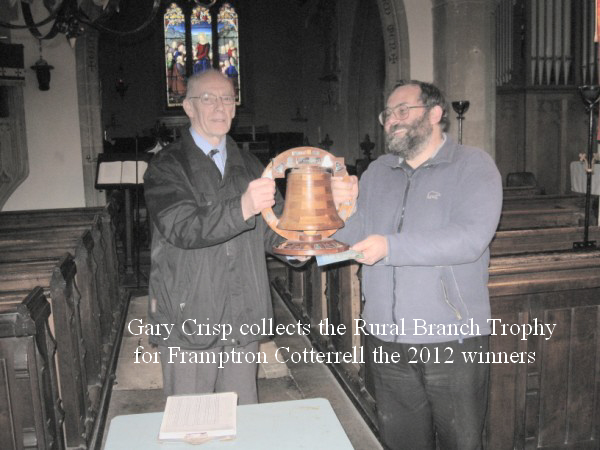 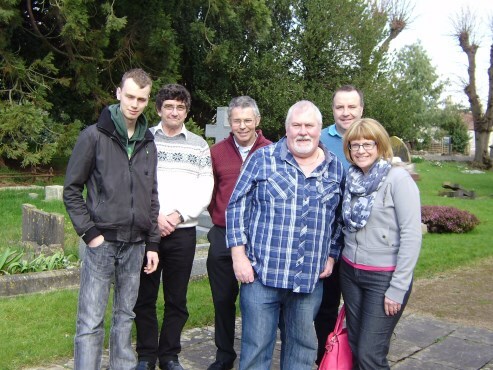 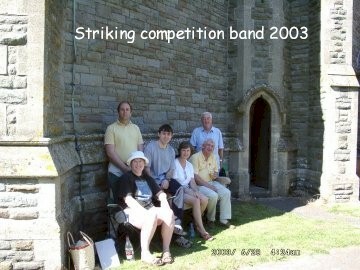 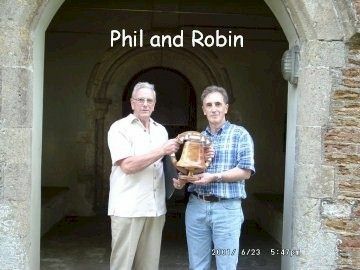 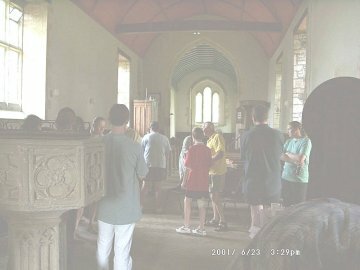 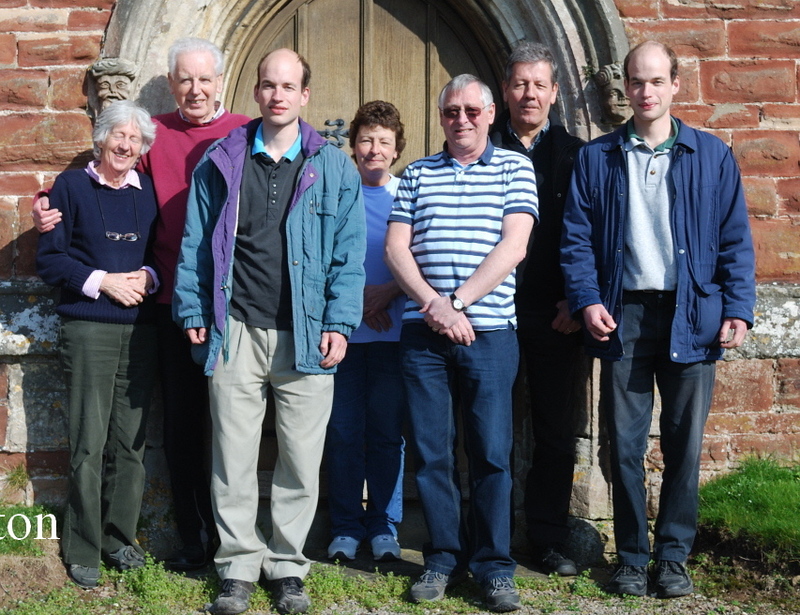 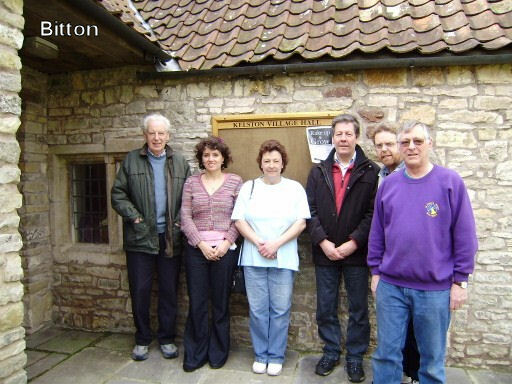 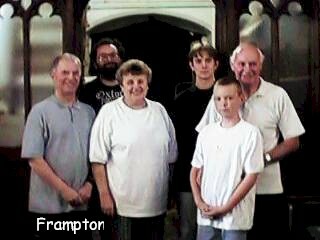 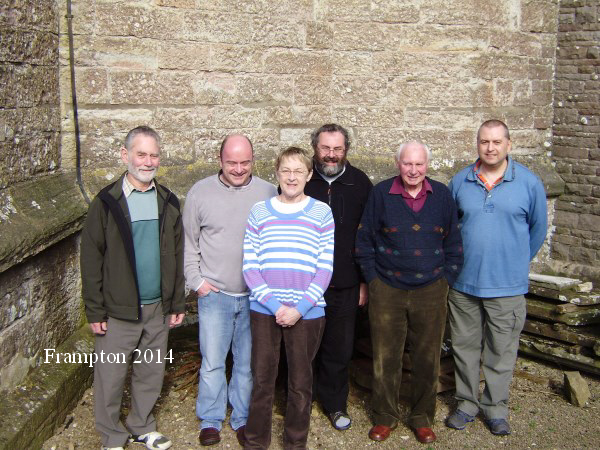 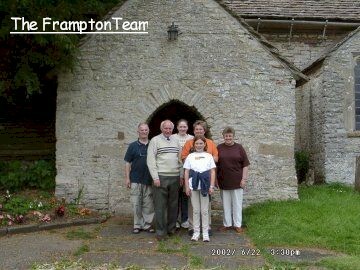 The Rural Branch Millennium year Striking competition took place at Frampton Cotterell on June 10th. 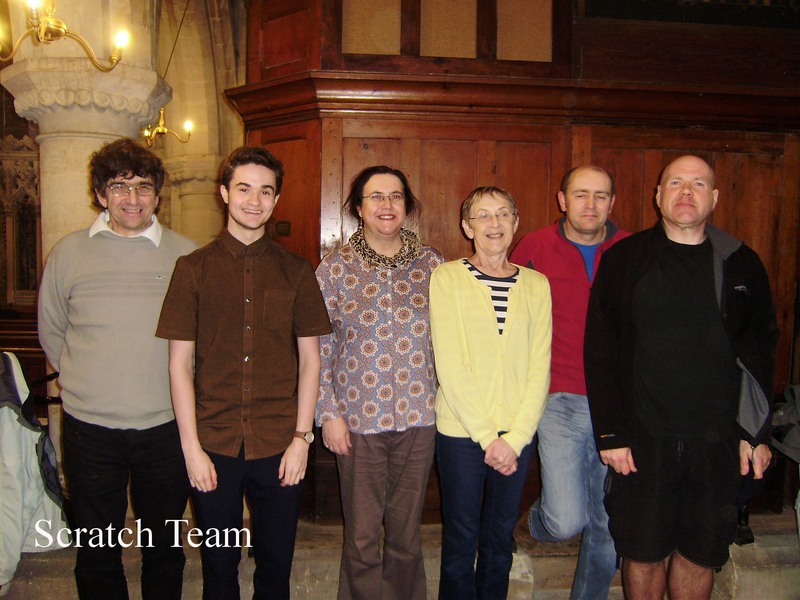 This year we had seven teams from seven separate towers enter, plus a scratch team from six of the towers. 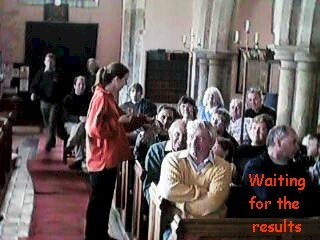 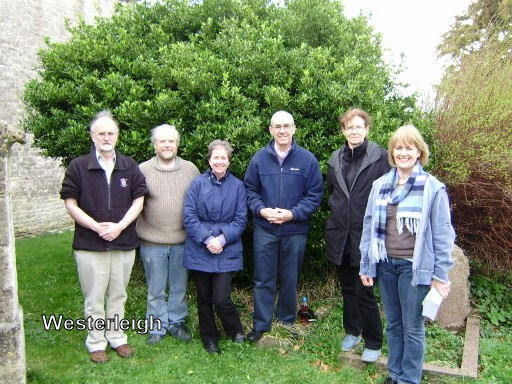 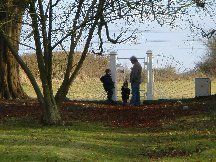 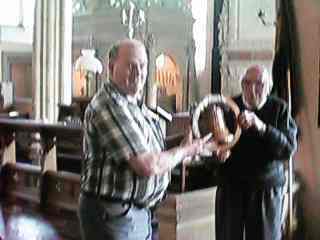 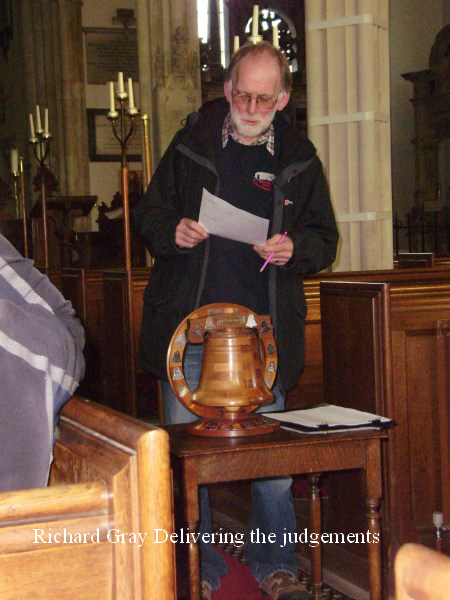 The draw took place at 17.00 which had to be slightly rigged as one team had members who had to leave early and one team which could not arrive until late and then some members had to leave immediately afterwards, but Martin the Ringing Master managed this well without any major problems.The ringing commenced at about 17.15 and whilst the first team were ringing the rest of the assembled ringers availed them selves of the excellent tea which was being looked after by a group of willing helpers. 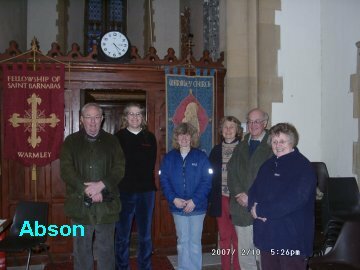 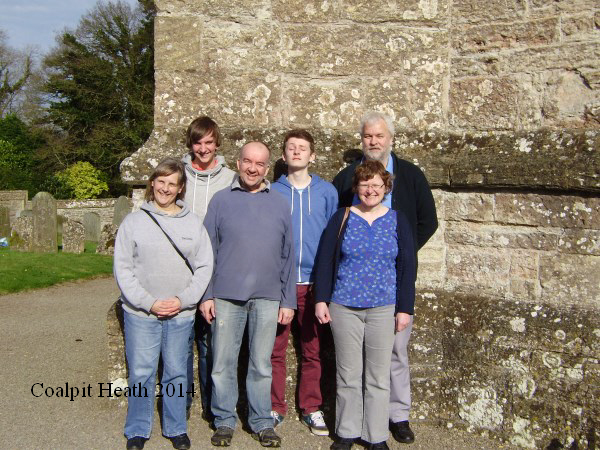 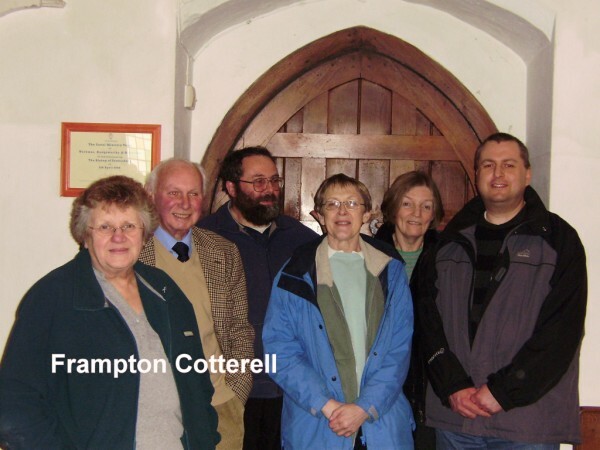 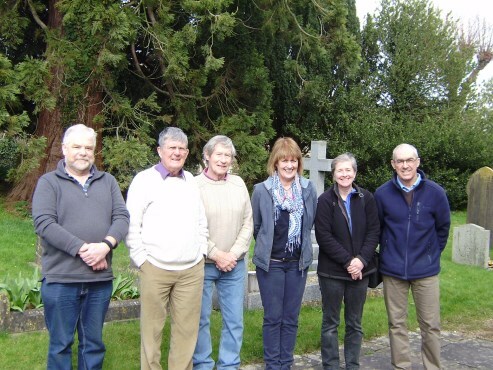 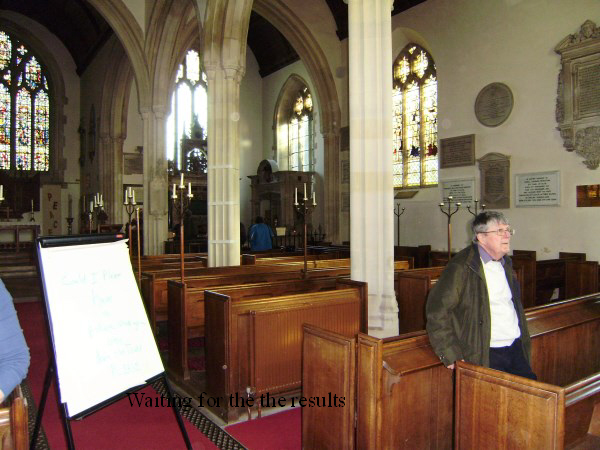 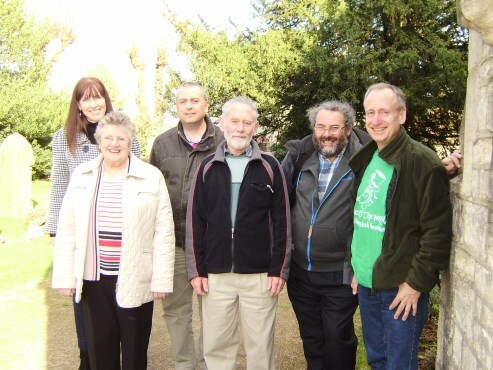 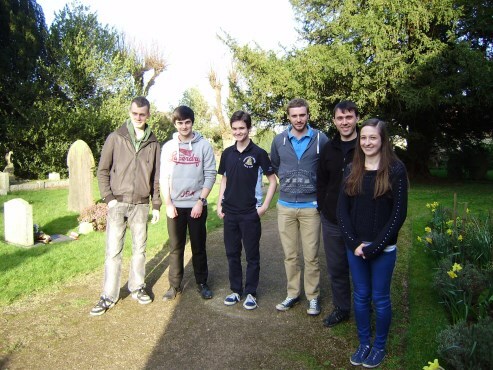 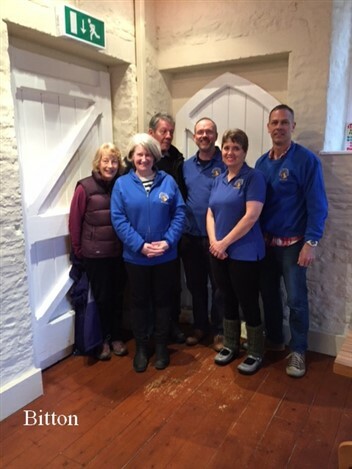 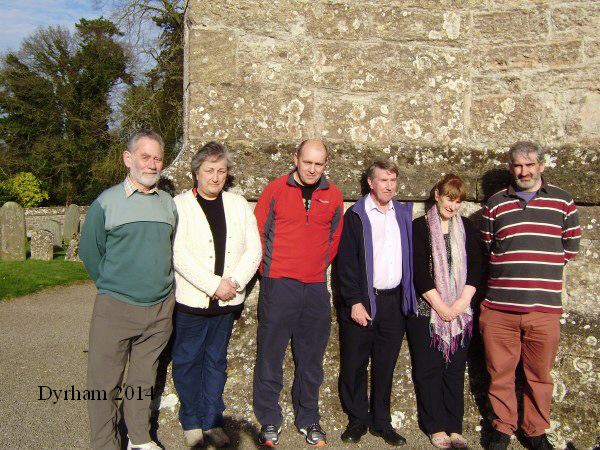 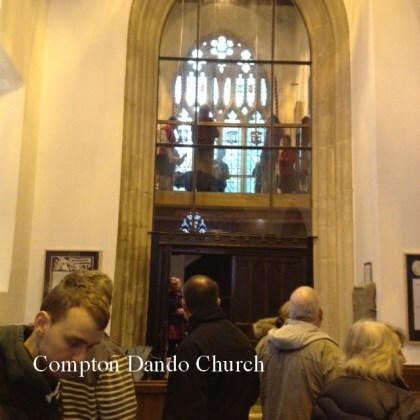 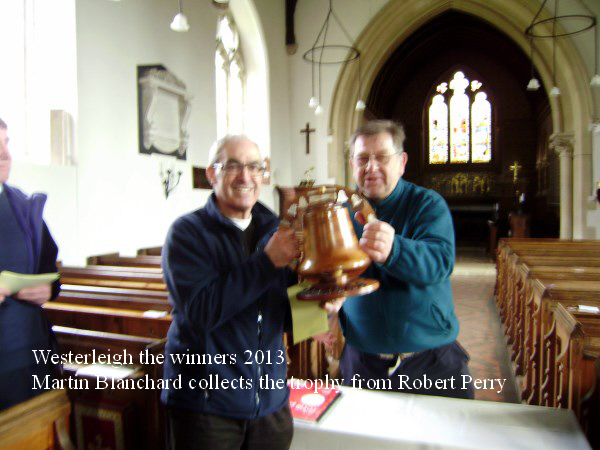 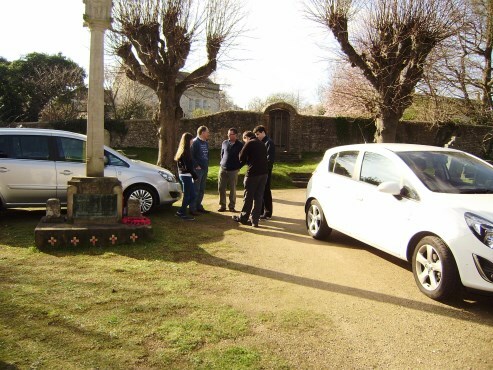 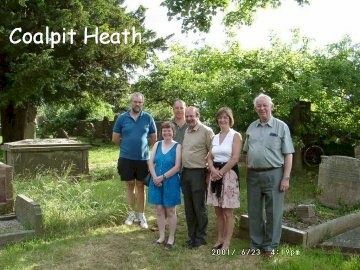 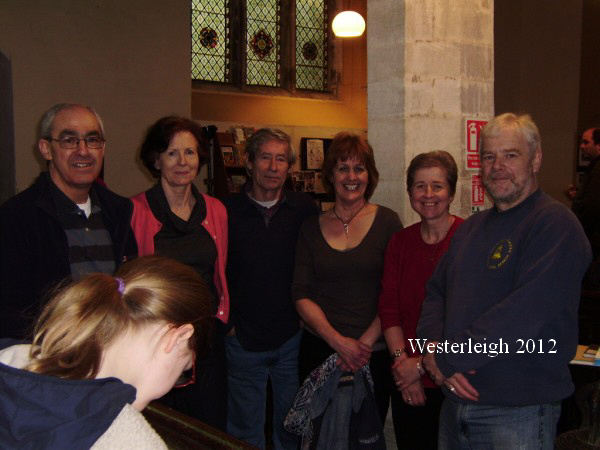 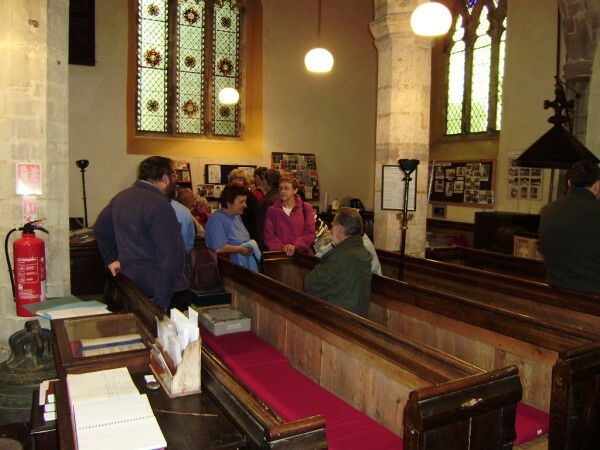 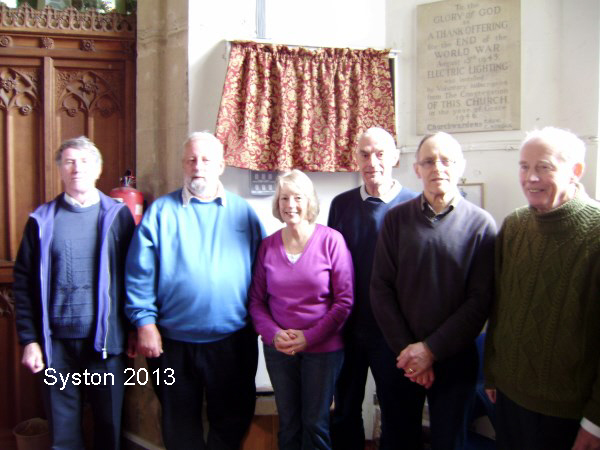 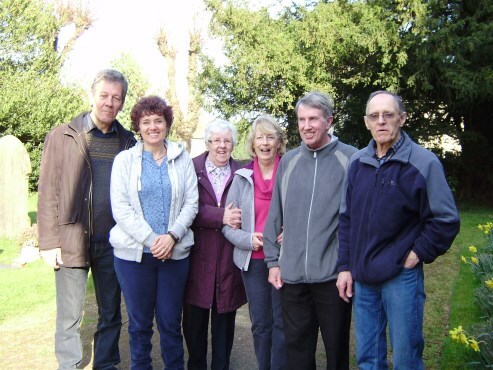 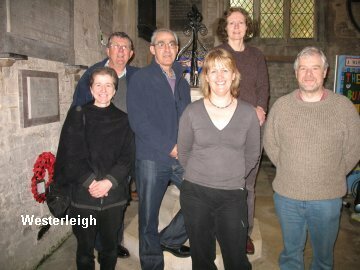 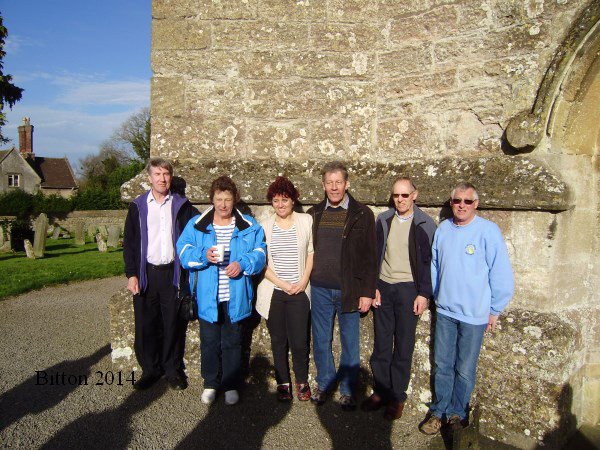 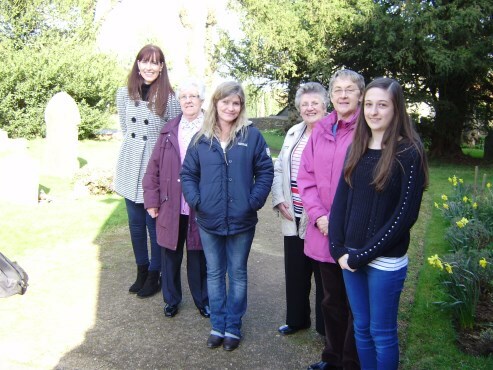 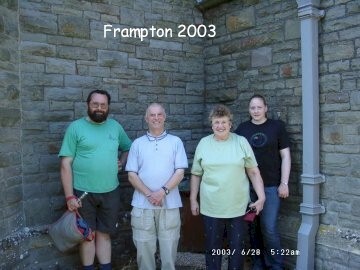 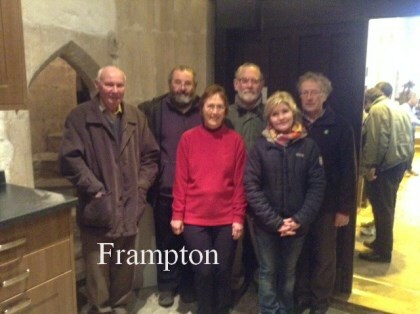 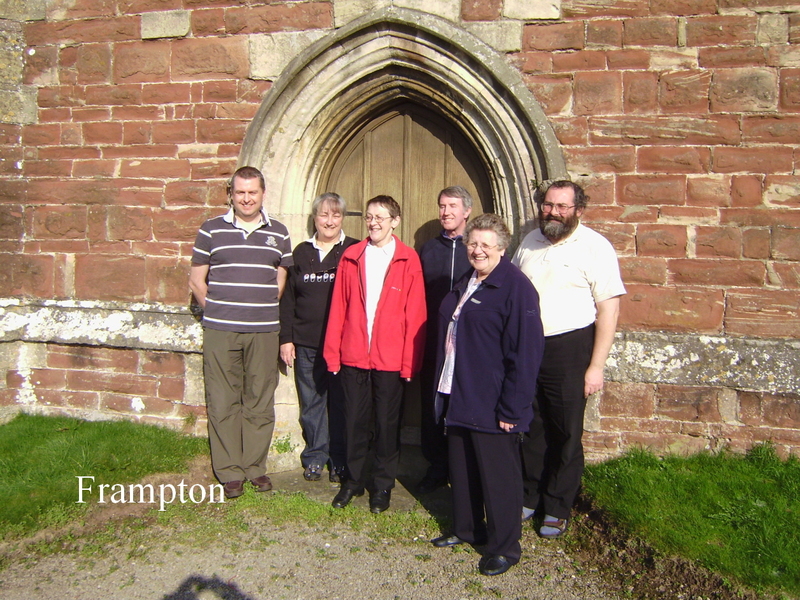 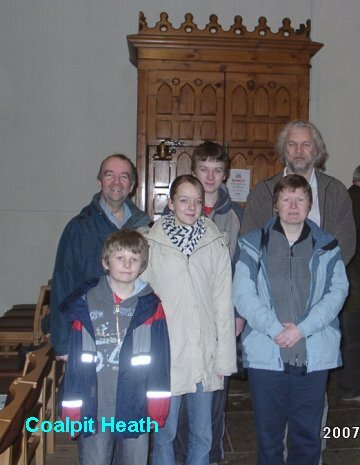 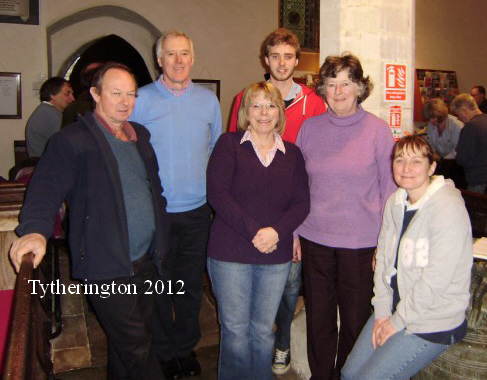 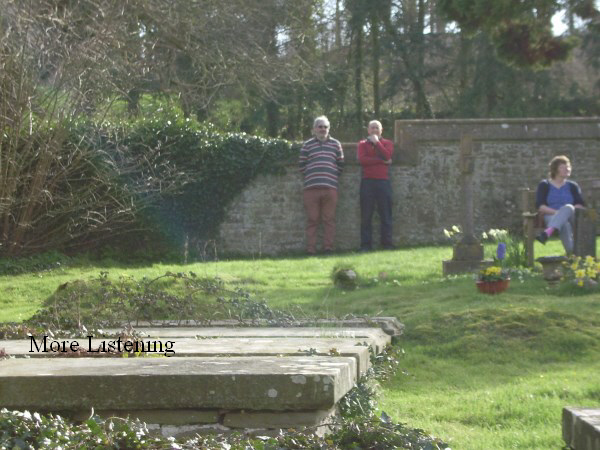 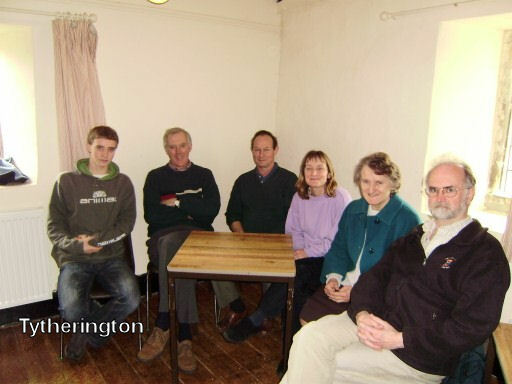 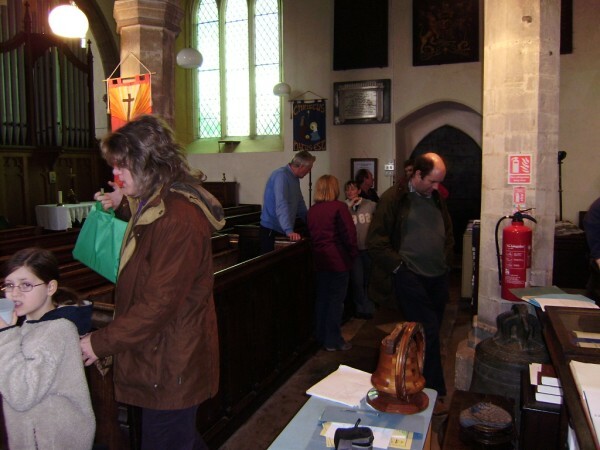 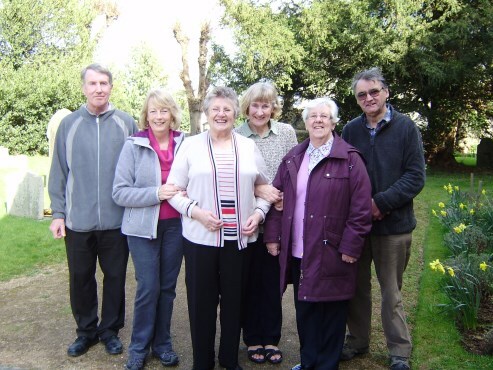 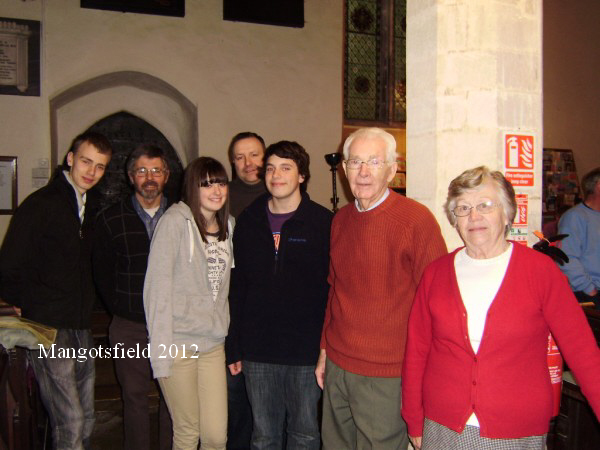 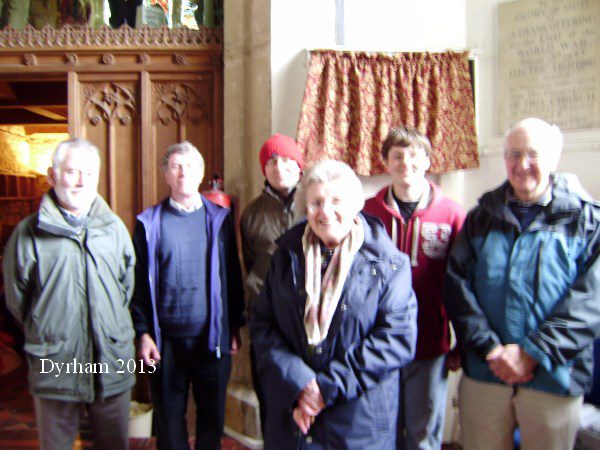 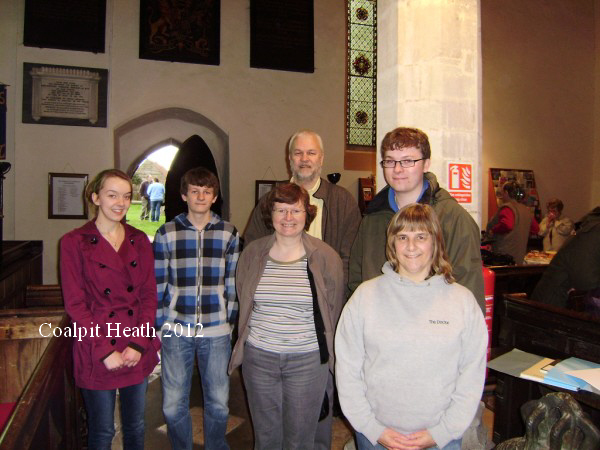 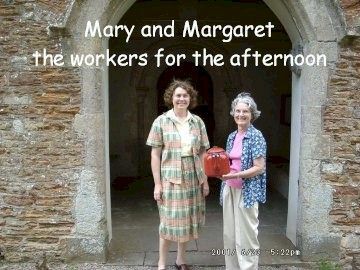 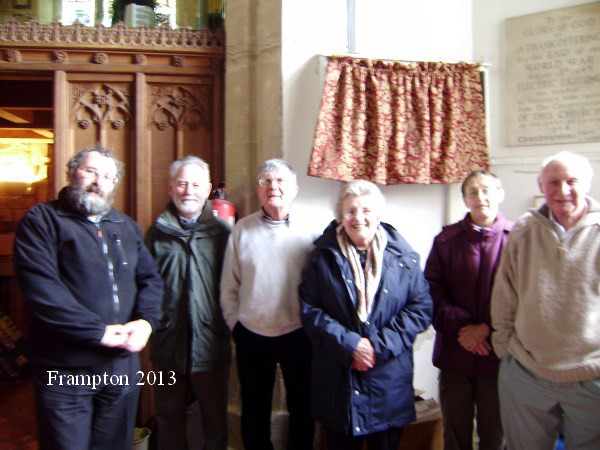 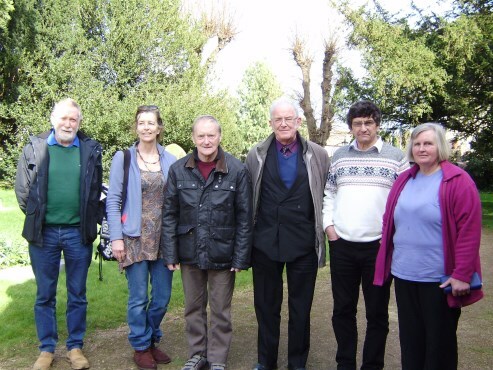 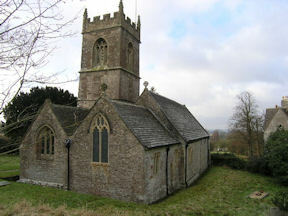 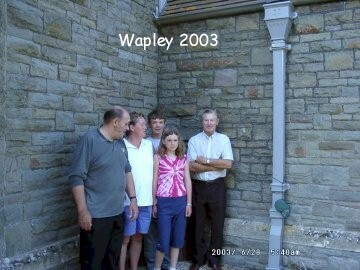 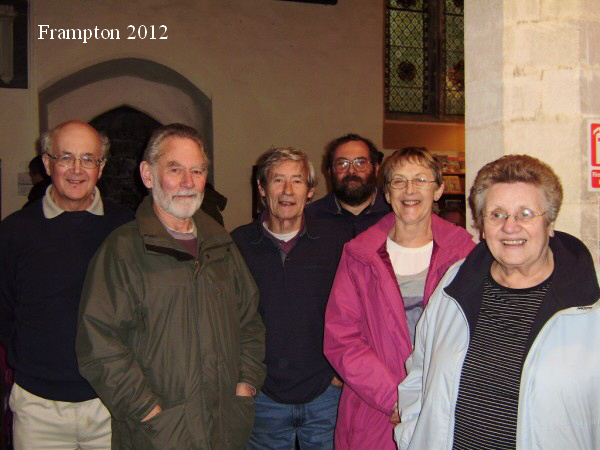 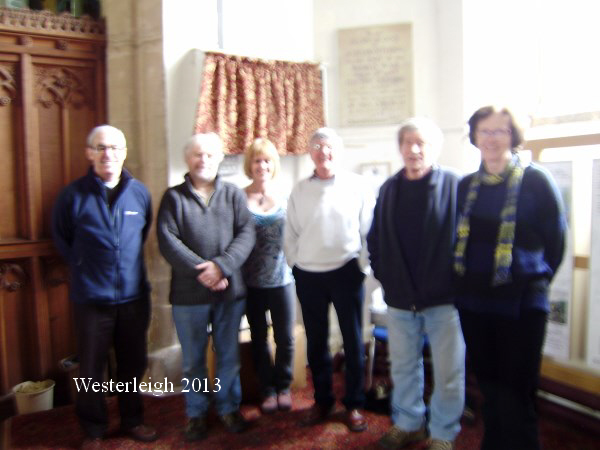 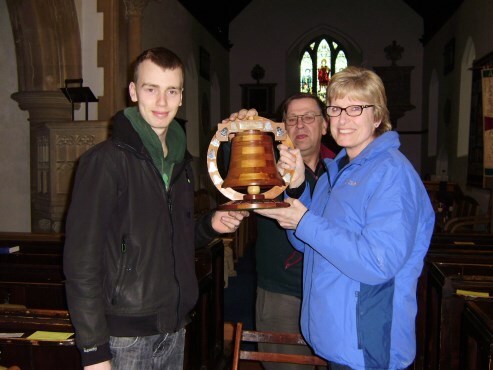 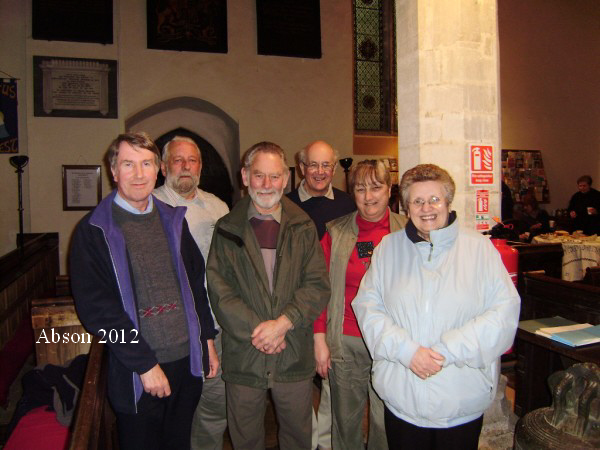 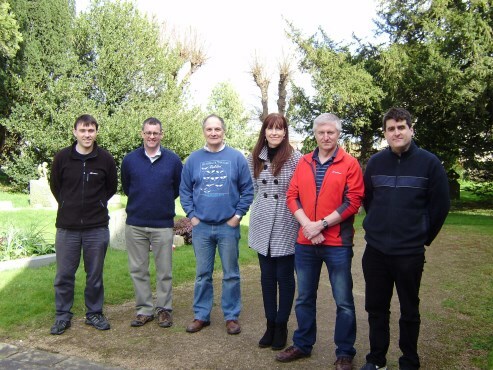 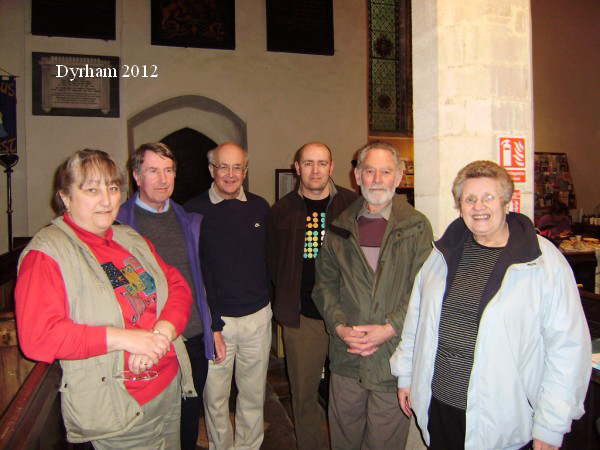 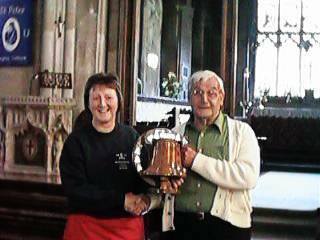 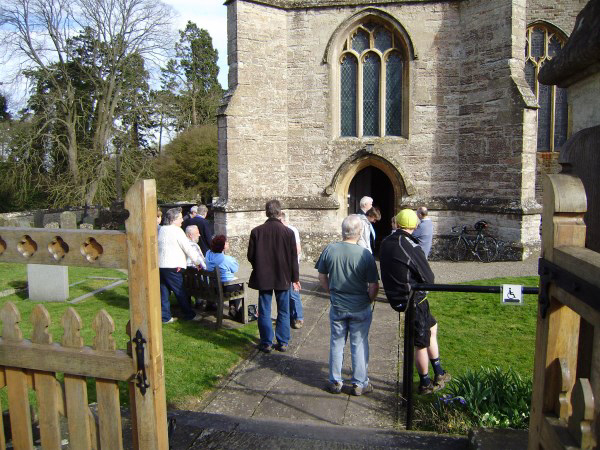 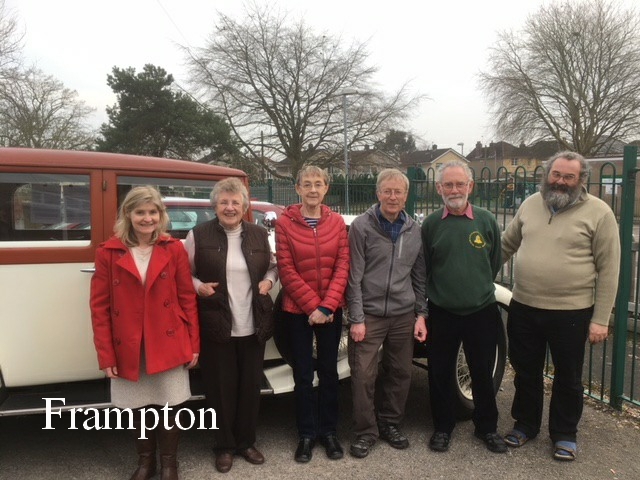 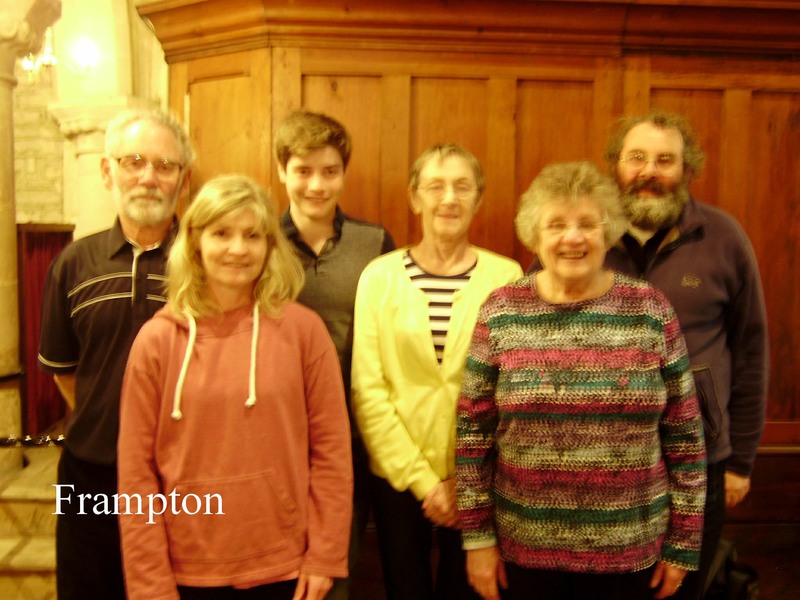 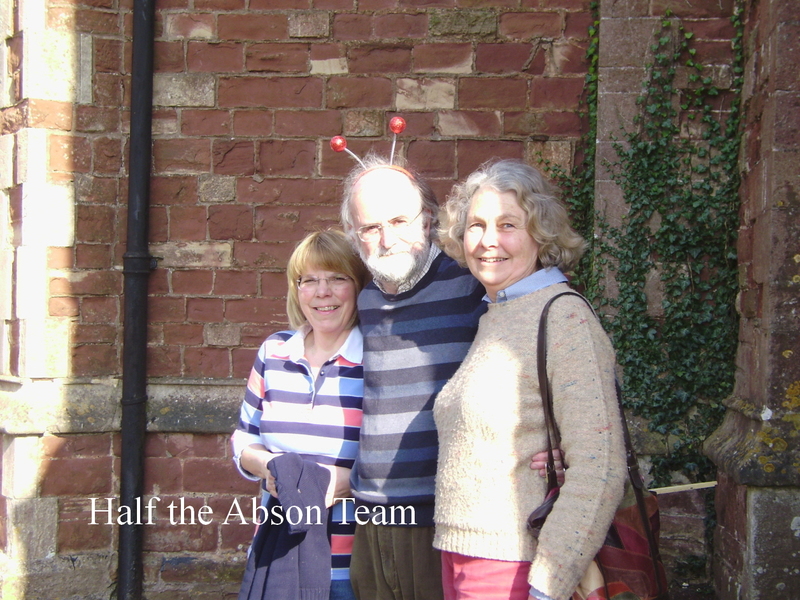 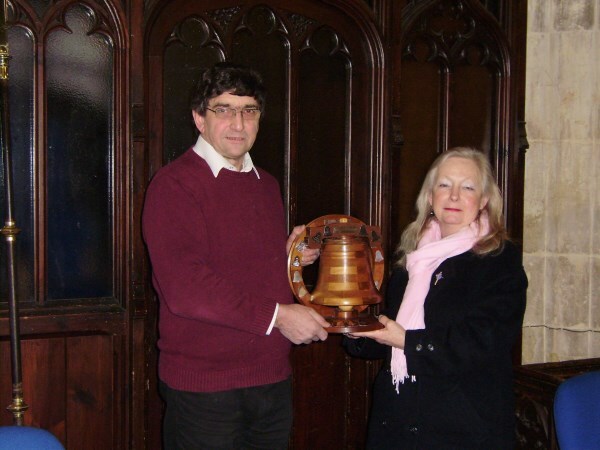 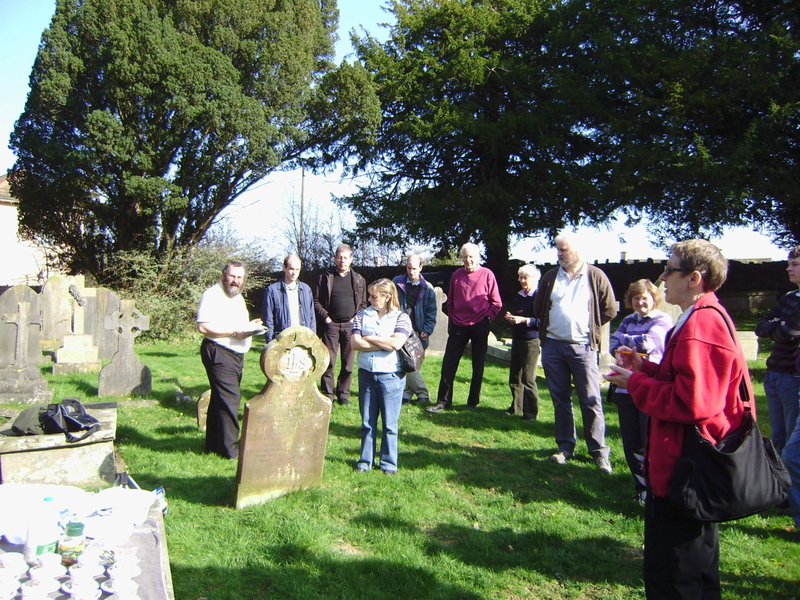 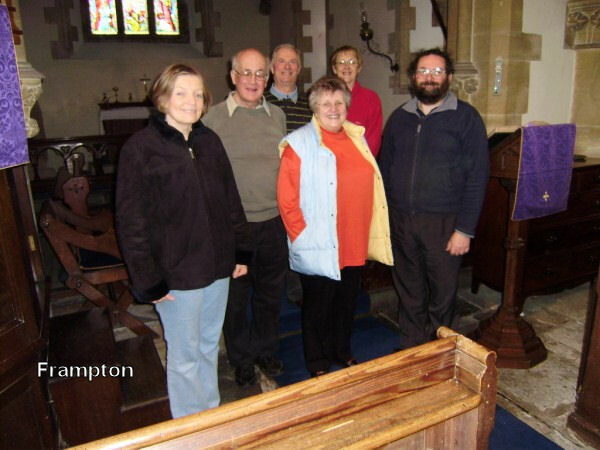 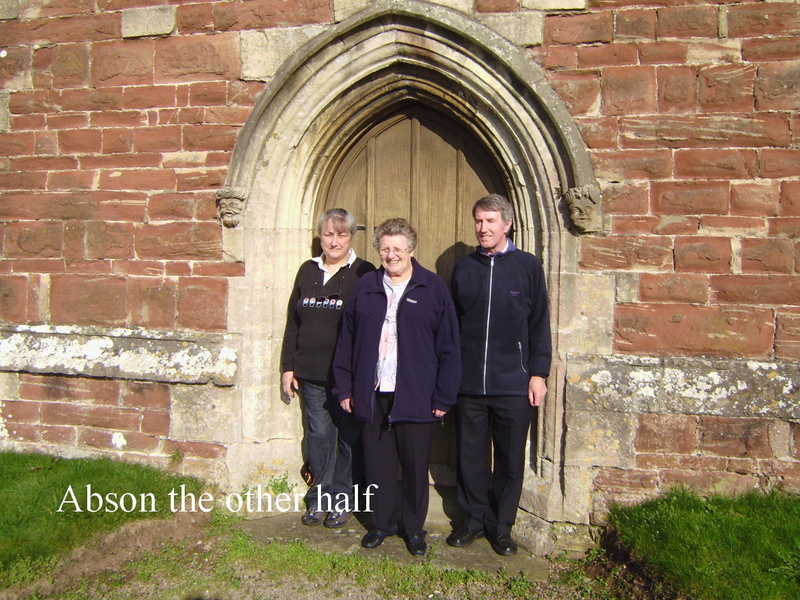 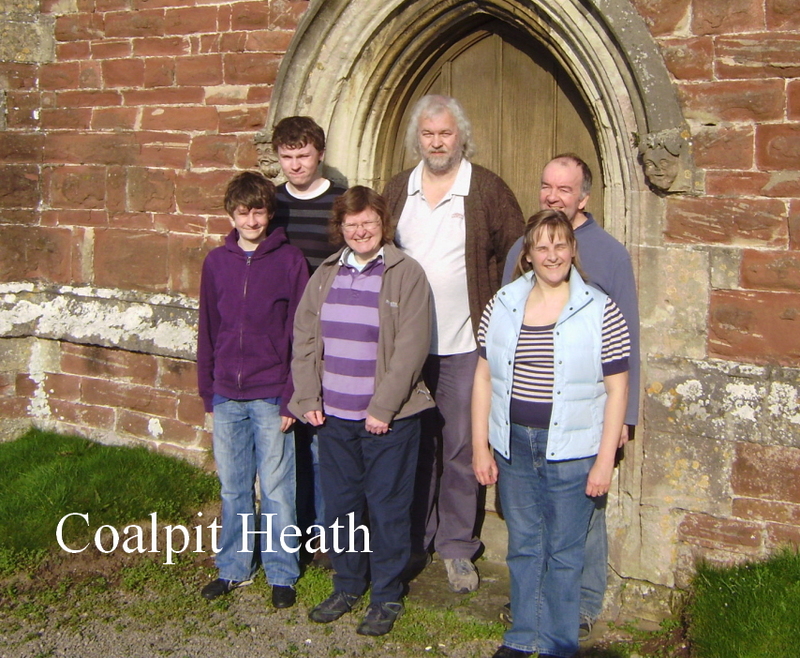 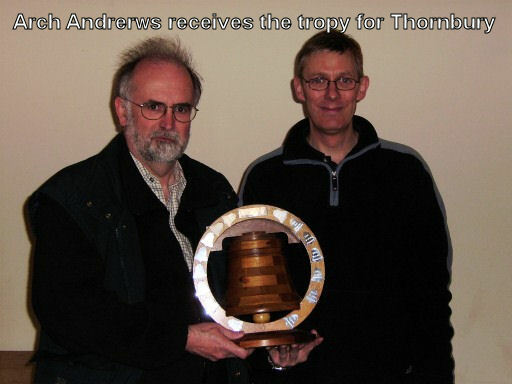 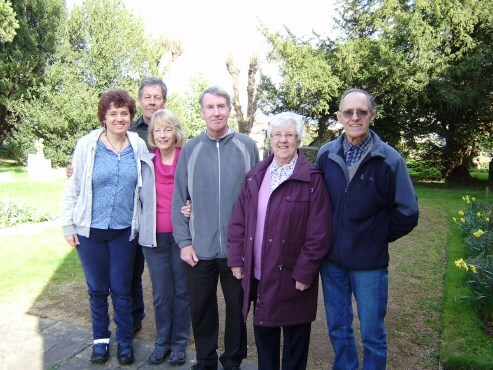 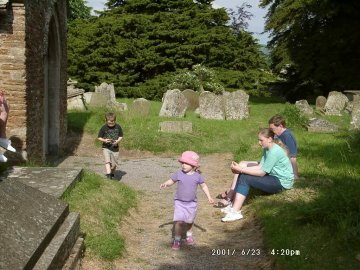 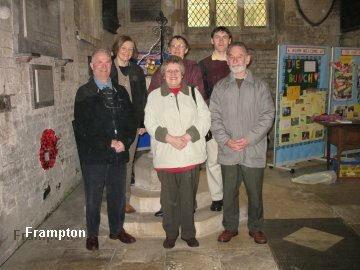 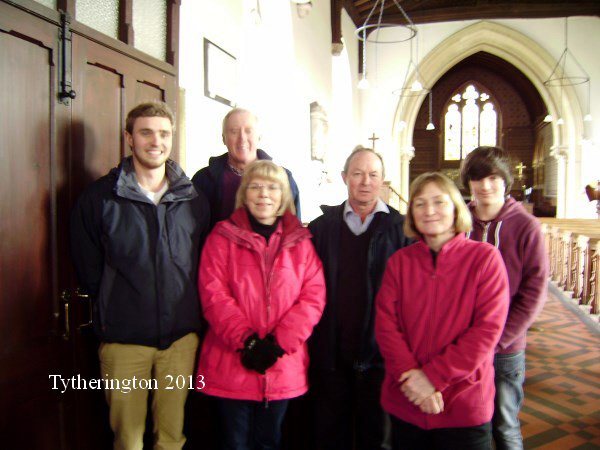 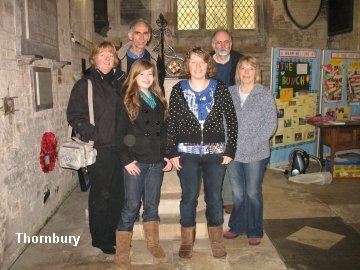 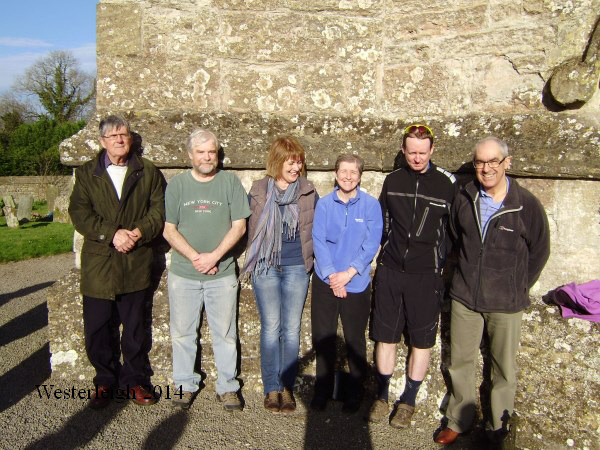 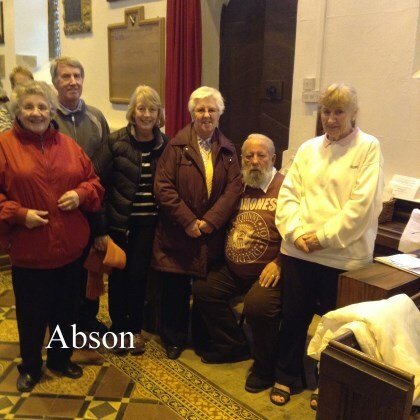 The proceeds of which were to be donated to Iron Acton bell and tower restoration fund. 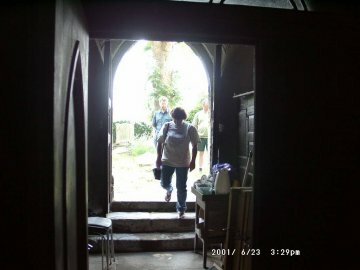 Below are a few pictures taken on the day. 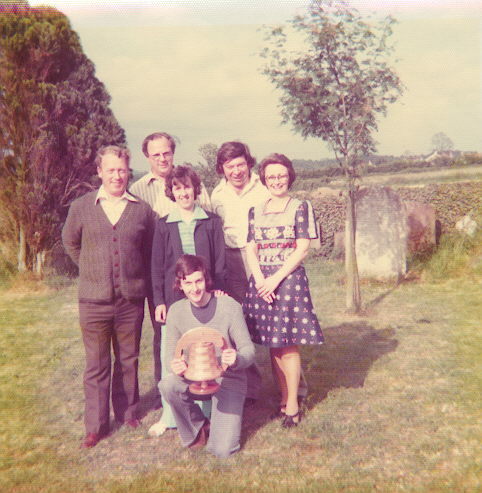 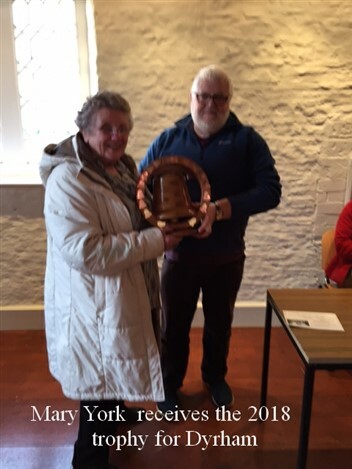 Bert Ferris the Tower Captain of the winning team 'Westerleigh' receives the 'Rural Branch Trophy' from Elizabeth Byrne the wife of our other Judge Frank Byrne. 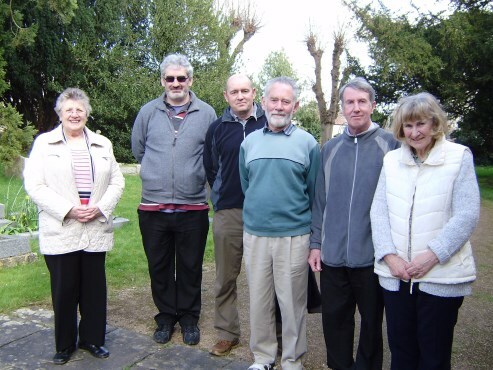 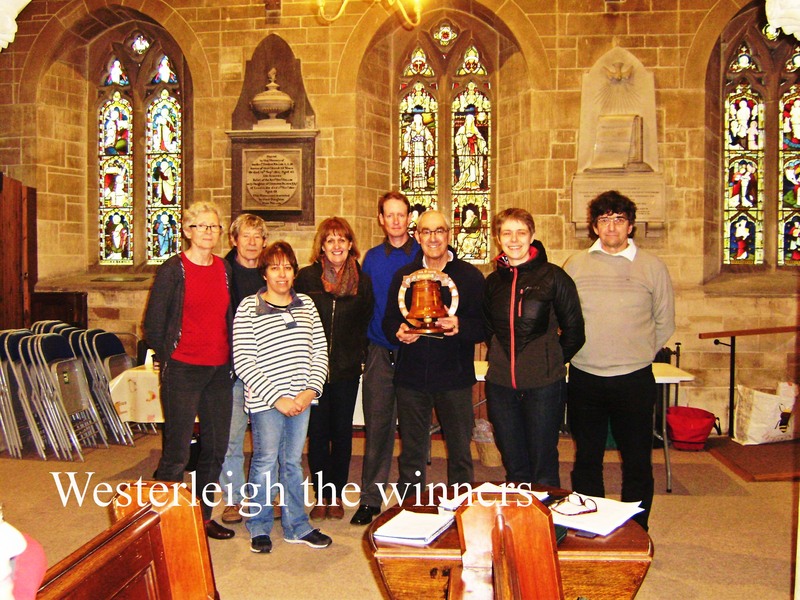 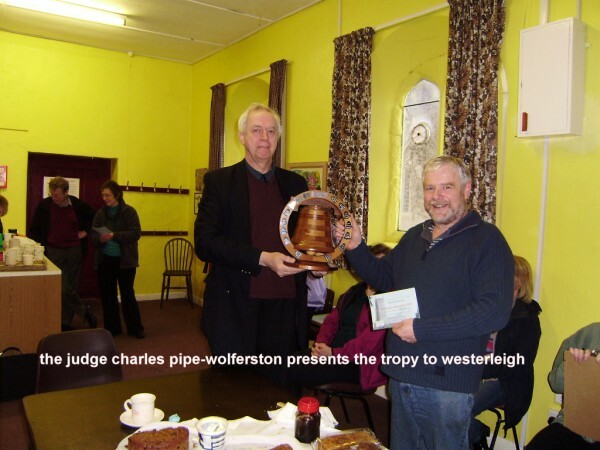 Westerleigh will now represent the branch in the Croome trophy at Treddington in September. 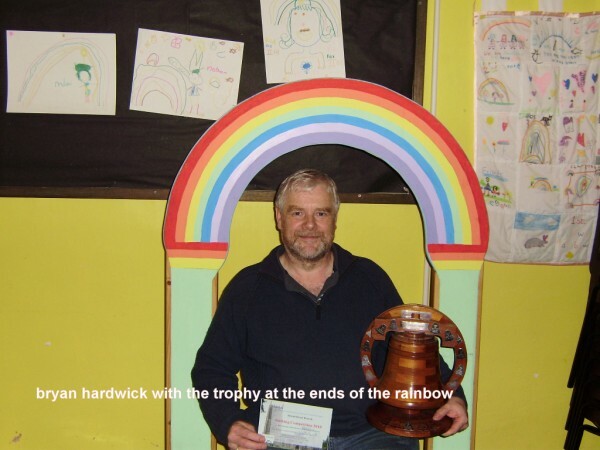 One interesting fact, Brian Angell who made the trophy in about 1968 was in the winning team and he says it is the first time he has ever been involved in winning the trophy. 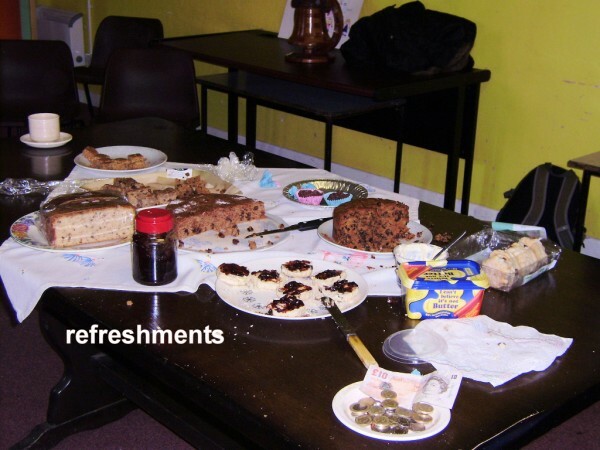 Thanks to all the teams who entered and all the people who brought along the cakes and sandwiches for the excellent tea that was provided for us all. 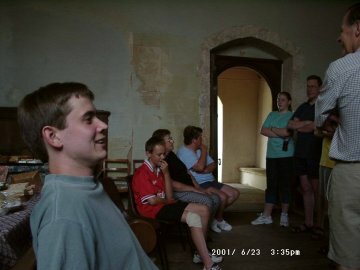 Below found in Dyrham tower. 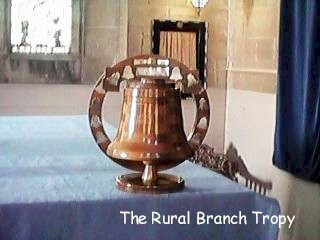 2016 is the 40th anniiversary of the current trophy made by Brian Angell being presened for the first time. 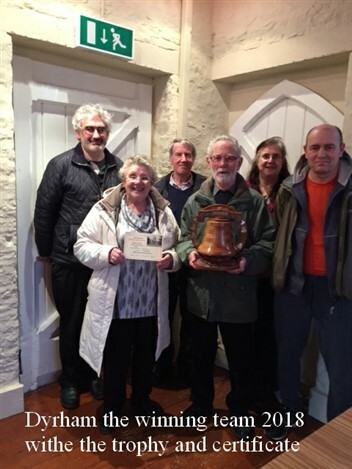 The winners of the first presentation of the trophy were Warmley Tower.